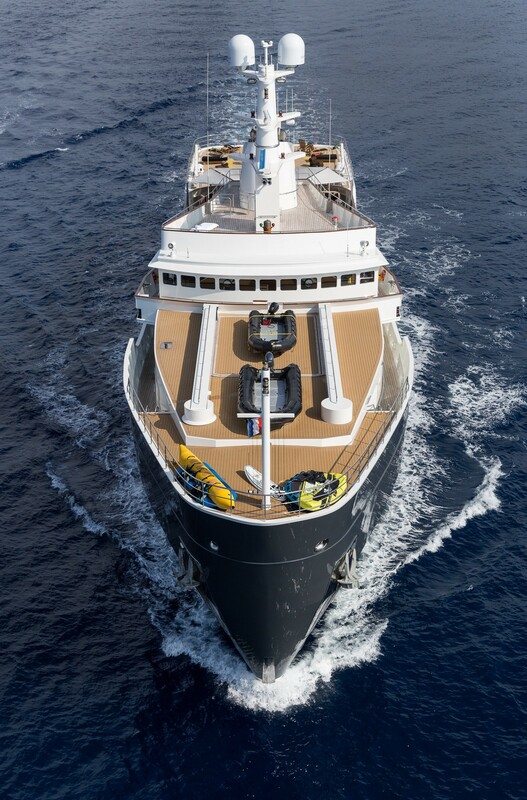 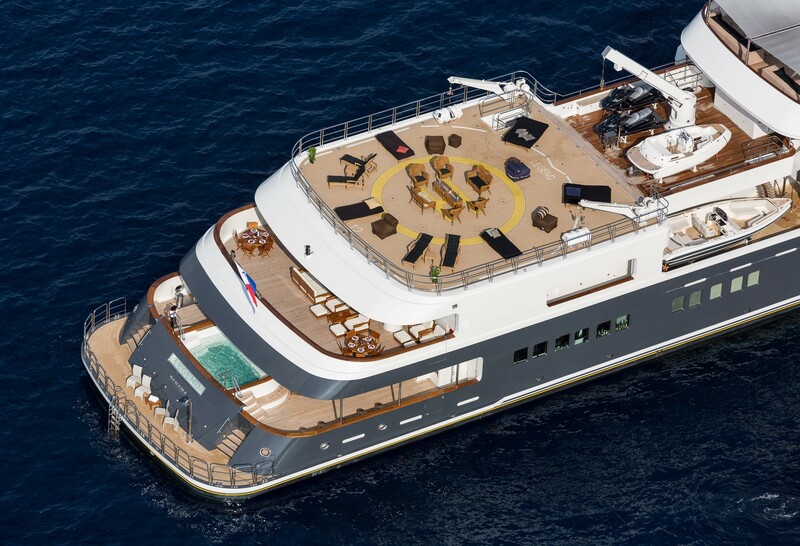 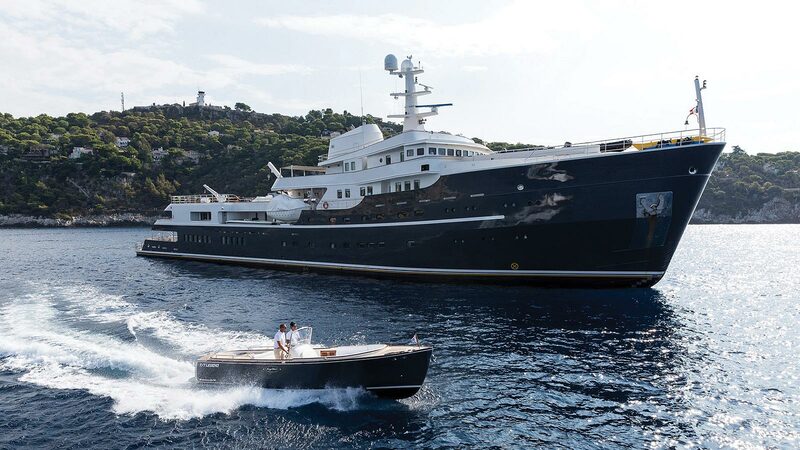 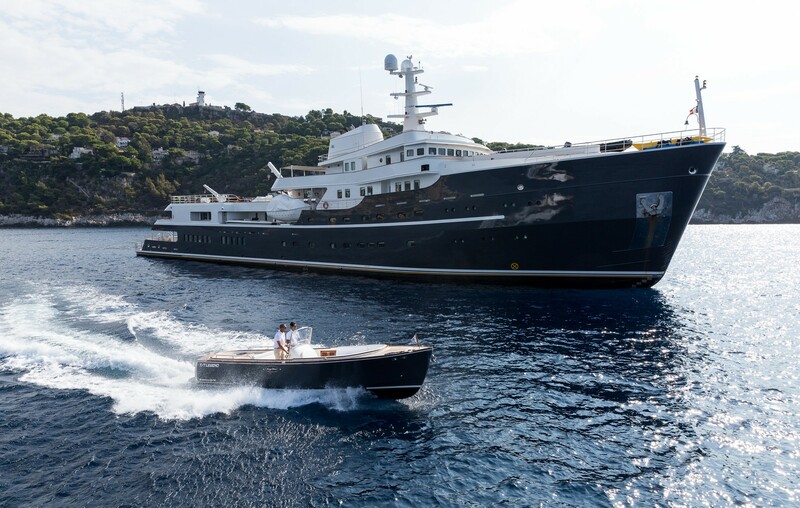 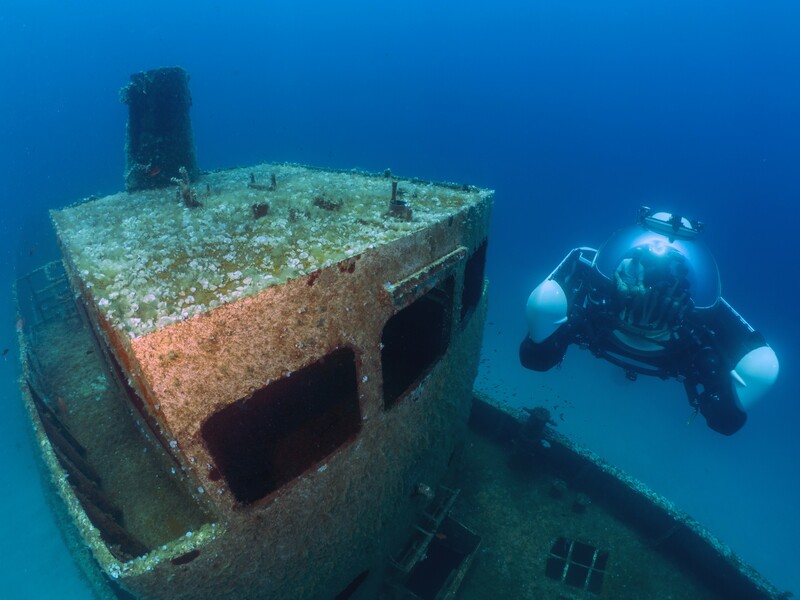 Luxury motor yacht Legend (ex Giant) is a large powerful and impressive ocean adventurer with the rare ability to charter anywhere in supreme luxury. 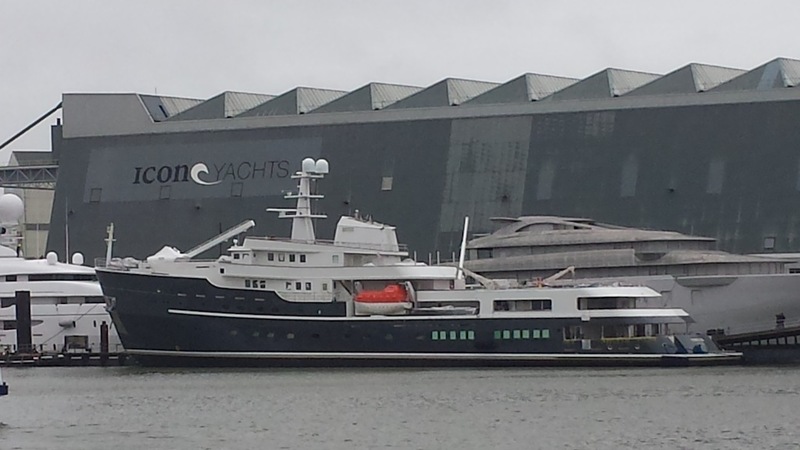 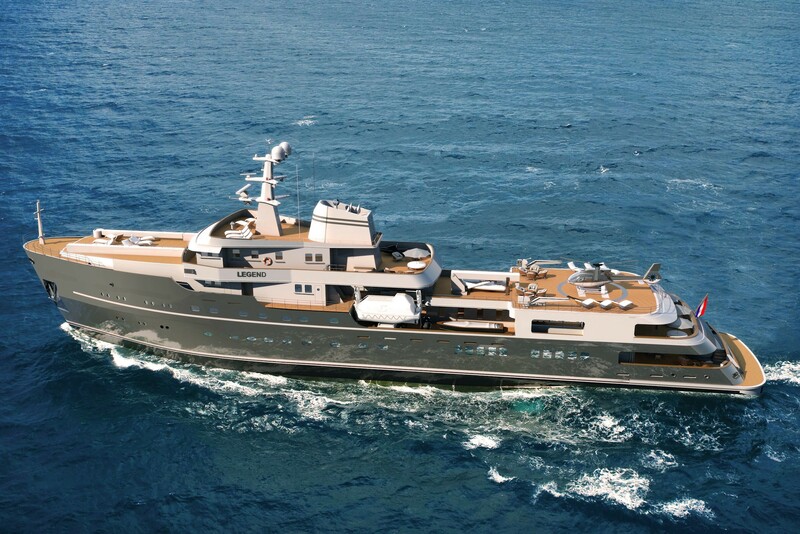 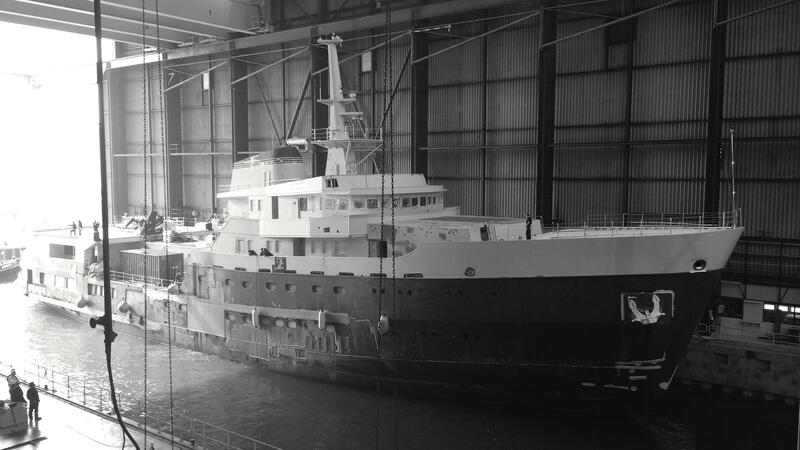 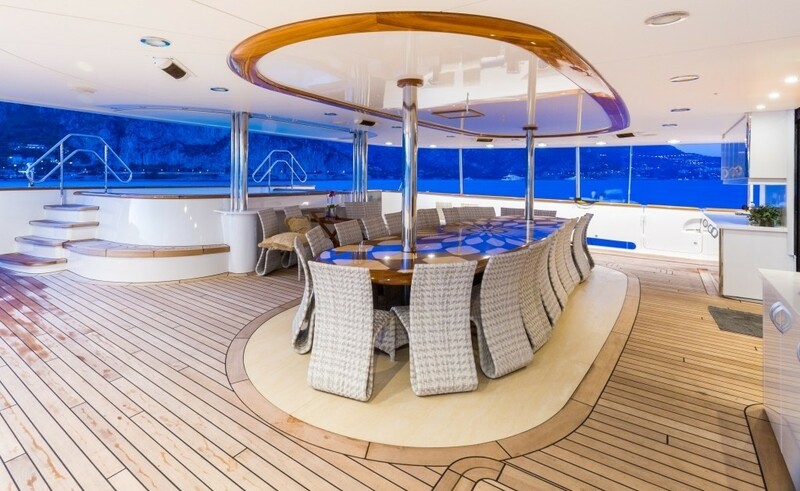 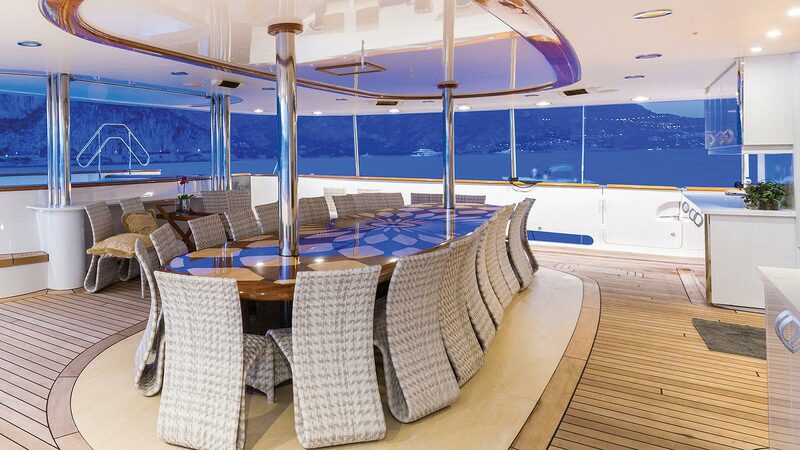 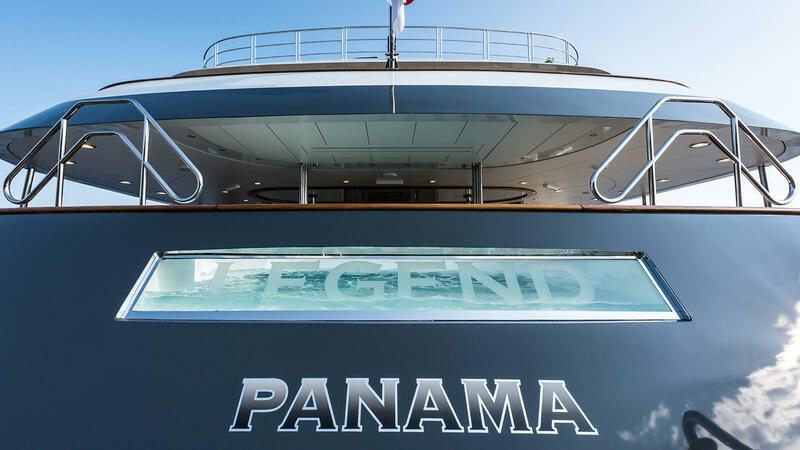 LEGEND superyacht was originally built to the highest specifications by the IHC Holland shipyard. 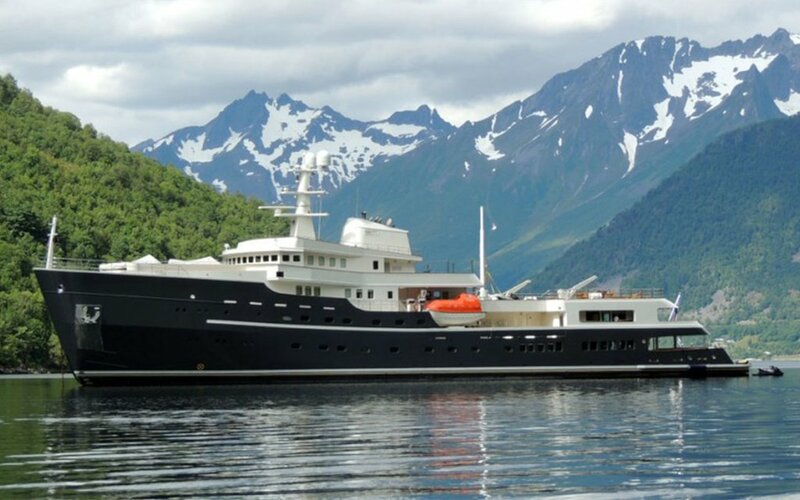 She is a fully classified Class I icebreaking ship and has been converted by ICON at ICON Yacht into a superb charter yacht without losing her safety and strength as an icebreaker. 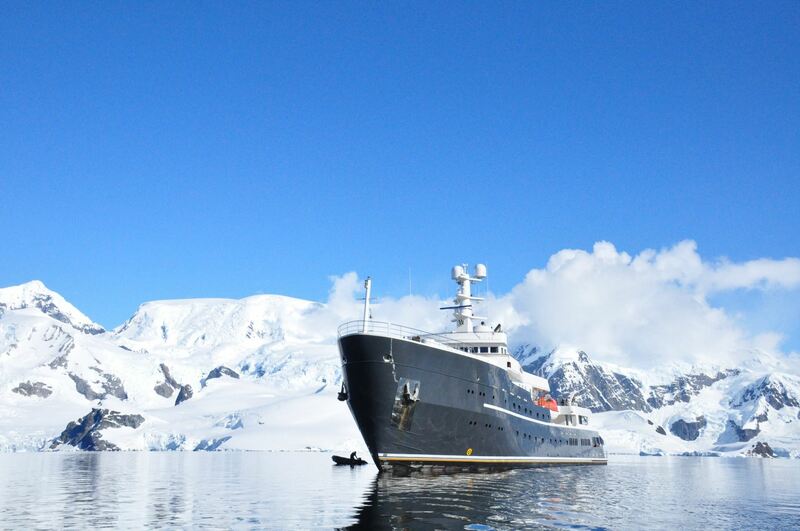 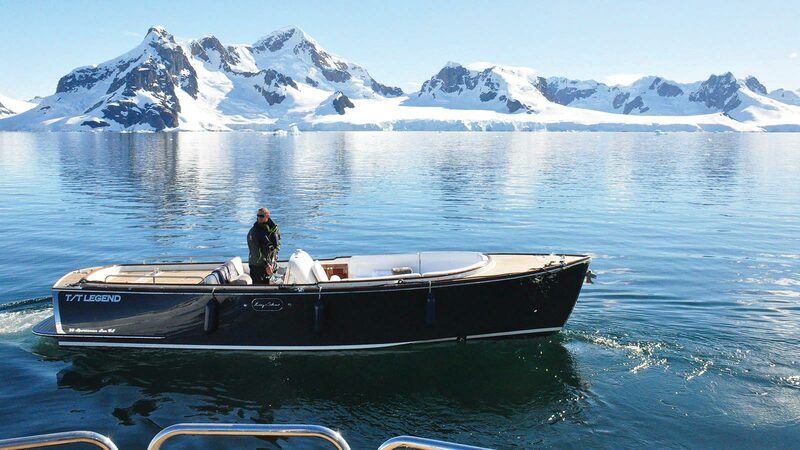 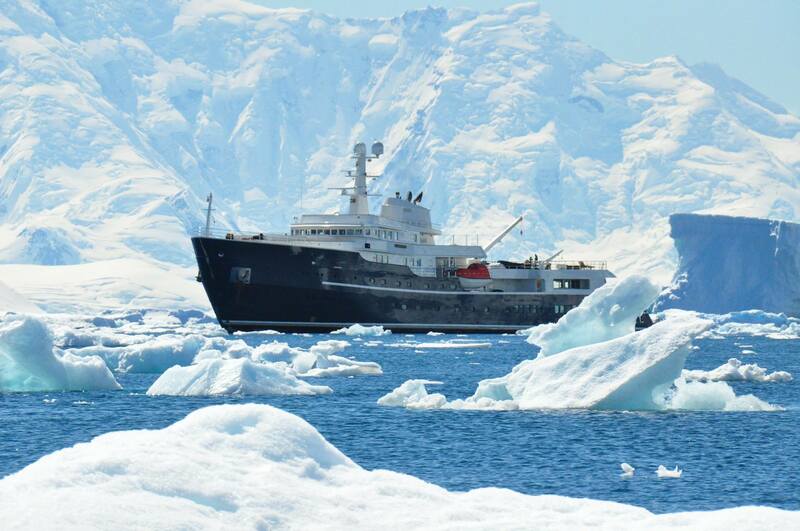 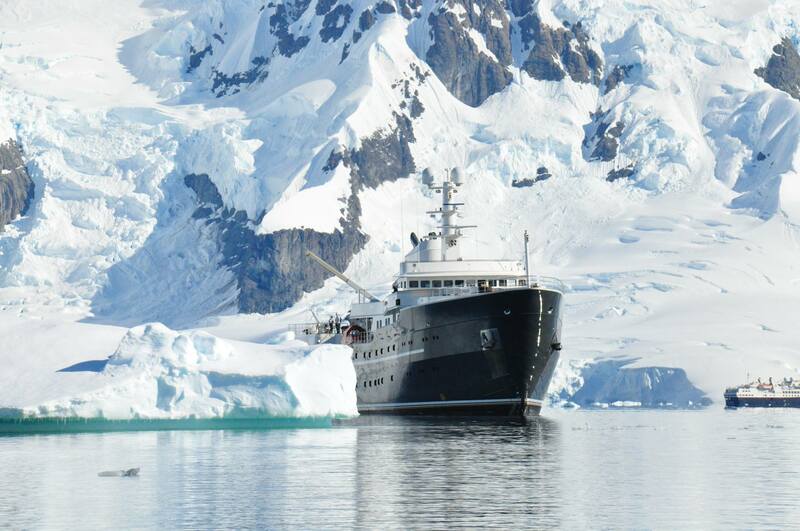 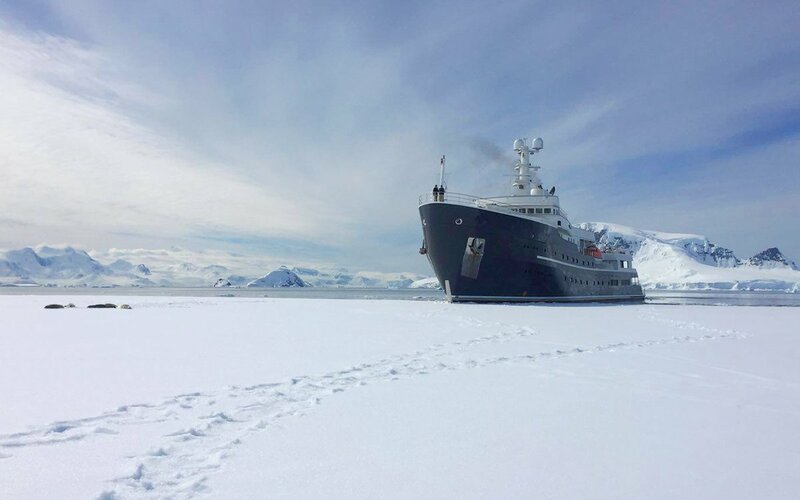 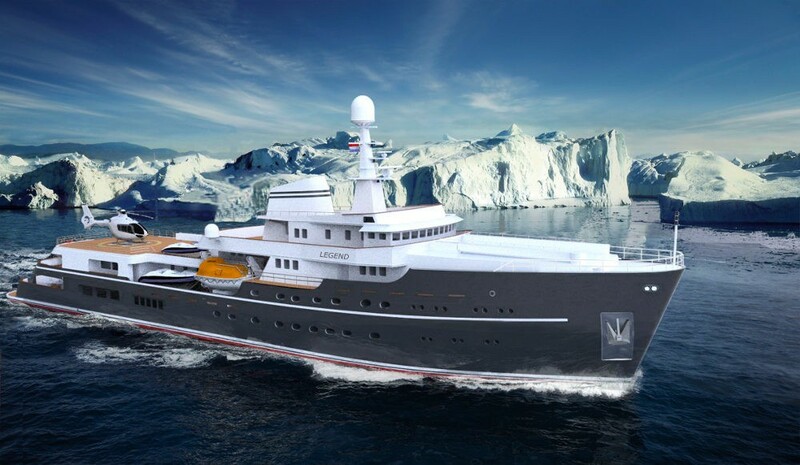 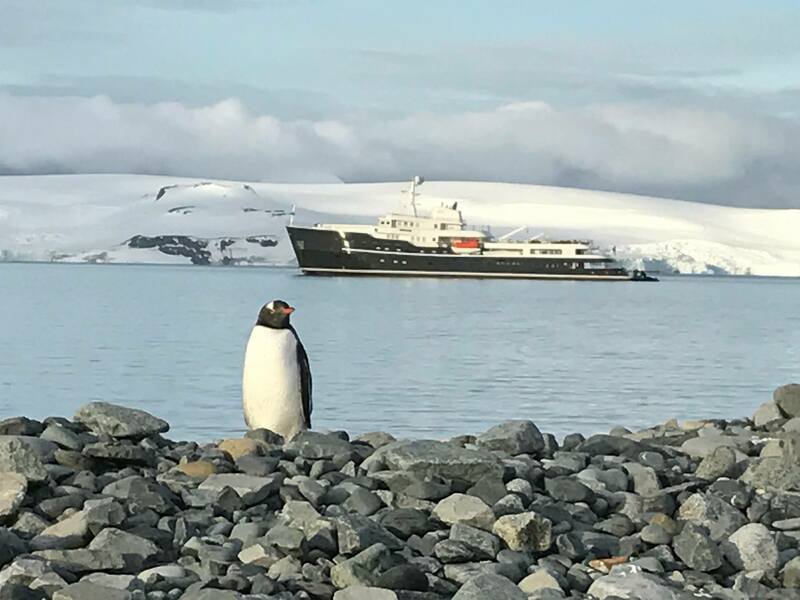 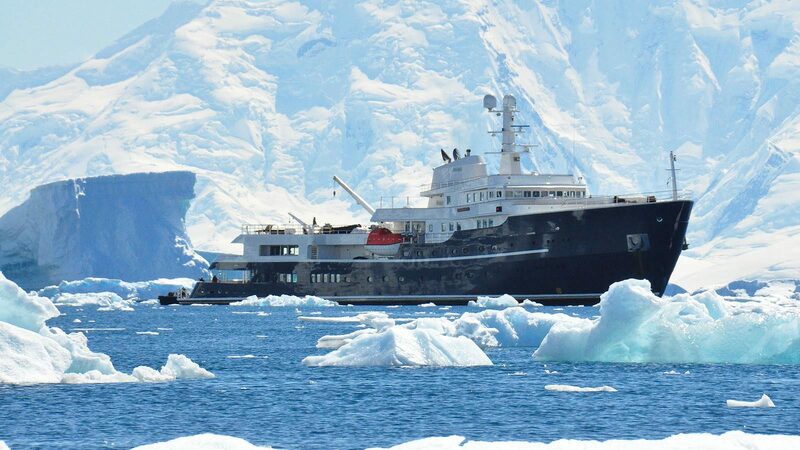 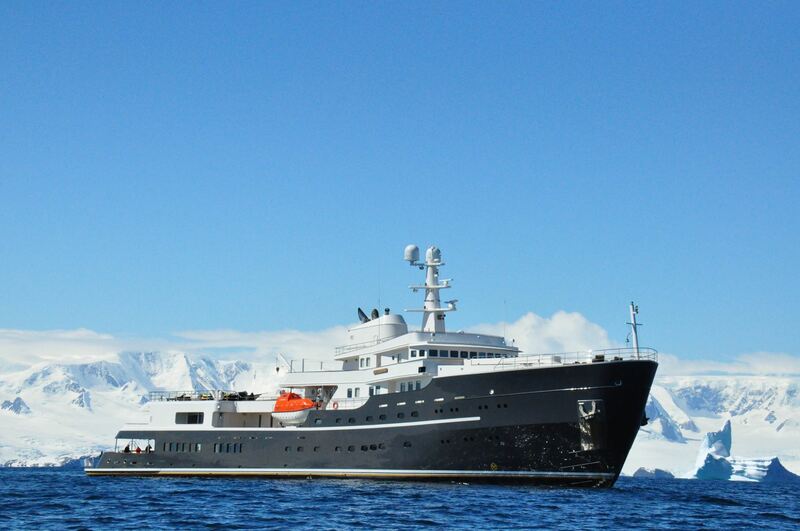 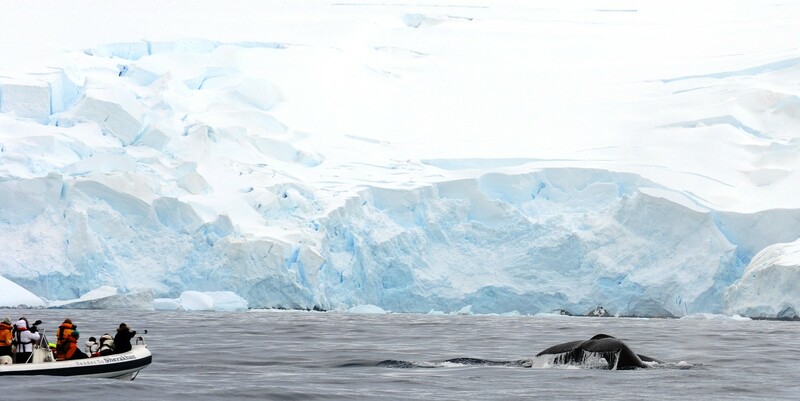 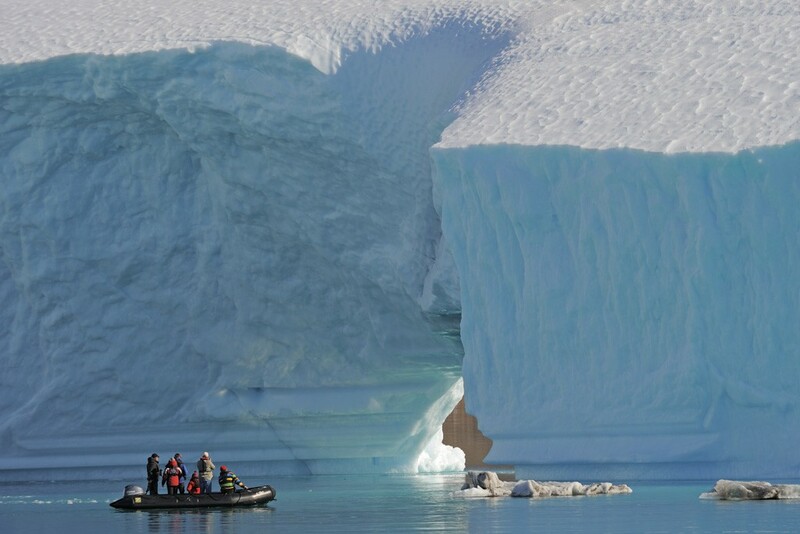 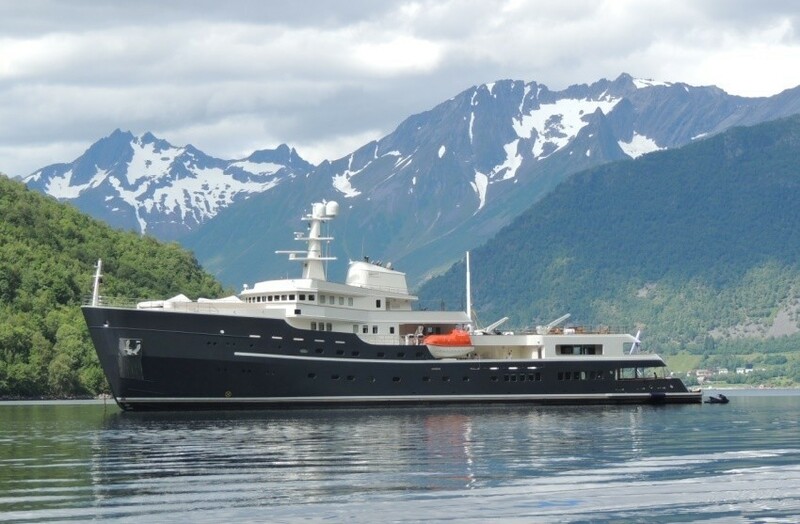 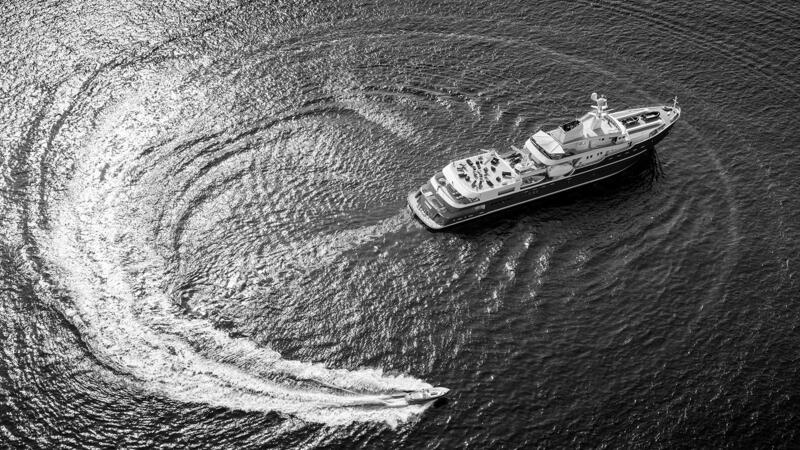 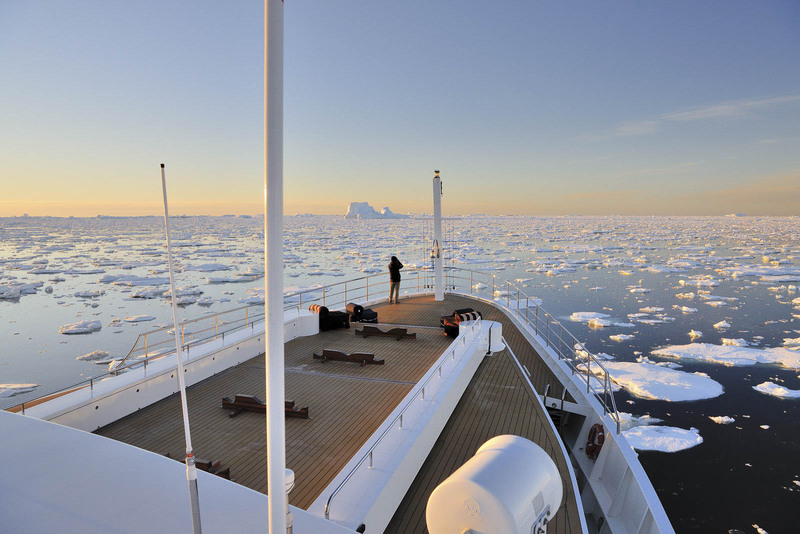 Motor yacht LEGEND (ex Giant) can cruise anywhere in the world under almost any conditions including the isolated Arctic and Antarctic Circles! 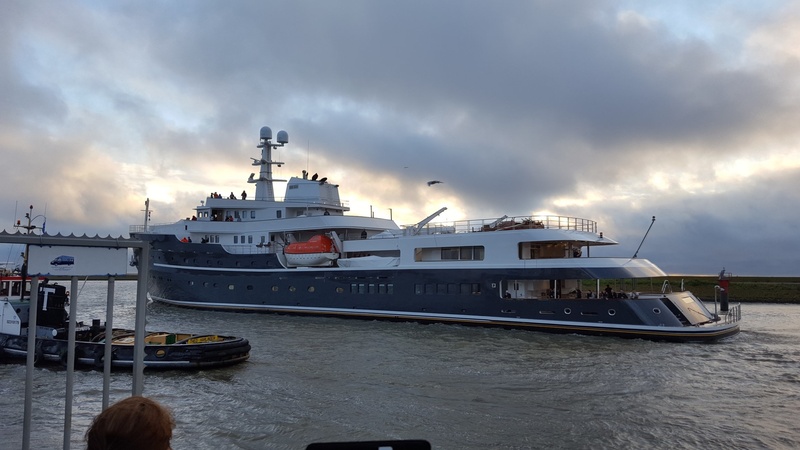 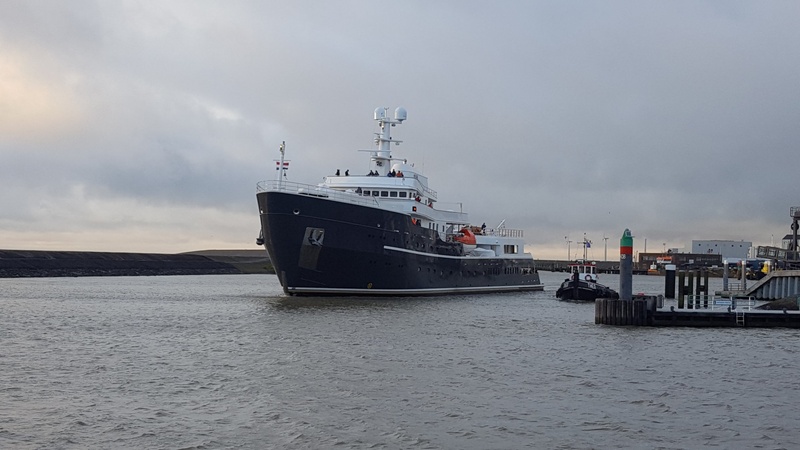 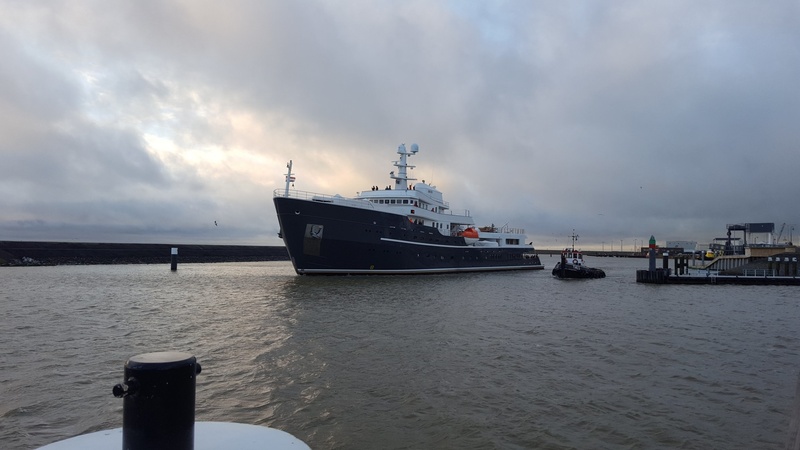 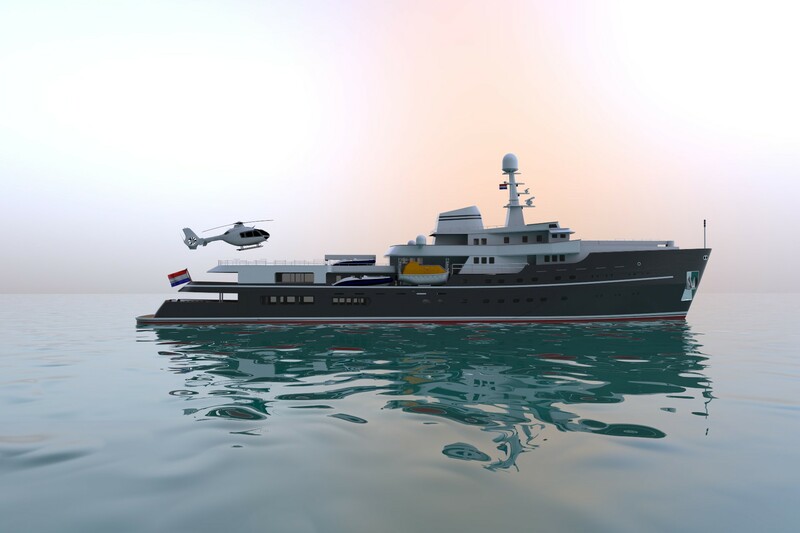 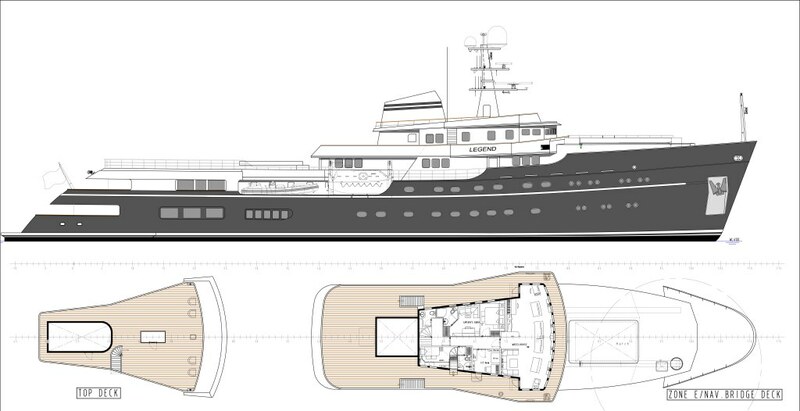 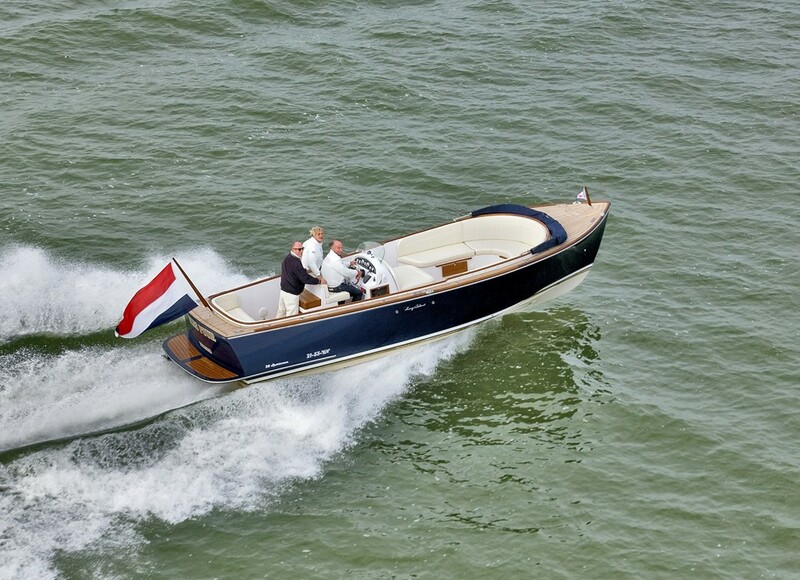 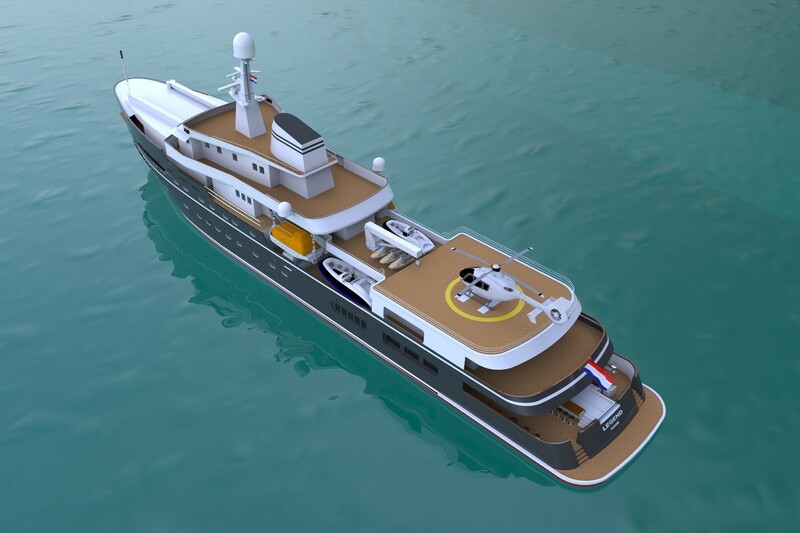 LEGEND yacht was rebuilt in 2014-15 by ICON Yacht under the management of Verkerk Yachting Projects and has been extended at the stern by 3.6m to measure 77.40m (253' 11"). 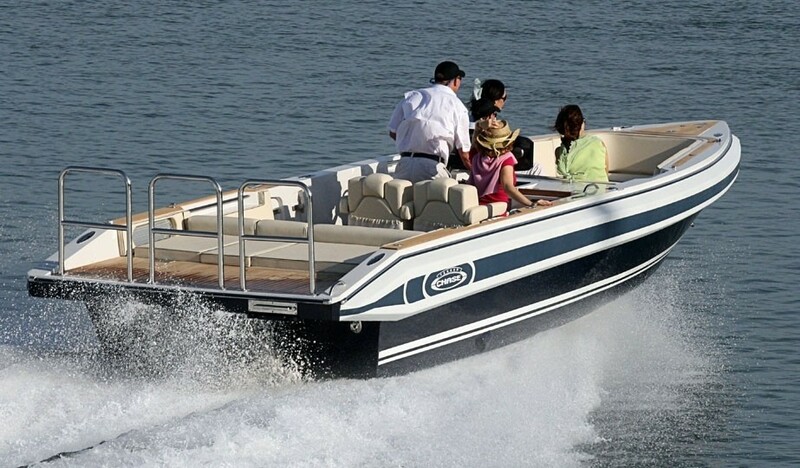 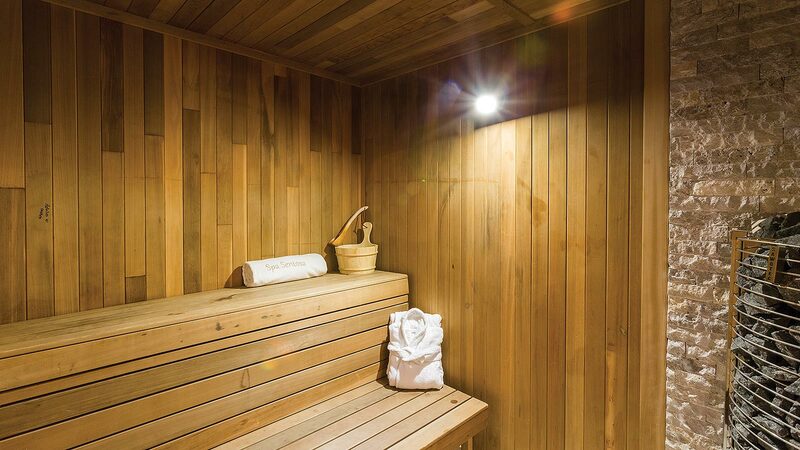 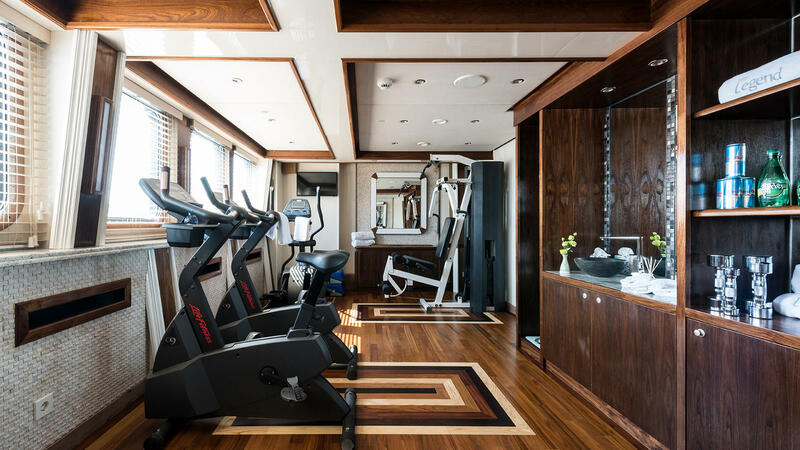 The interior, piping, electronics, electrical, main engines and generators, pumps, heating and air conditioning, mechanical systems, and incinerator have been added or replaced with the highest quality equipment. 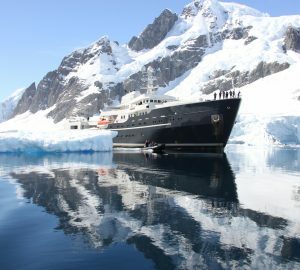 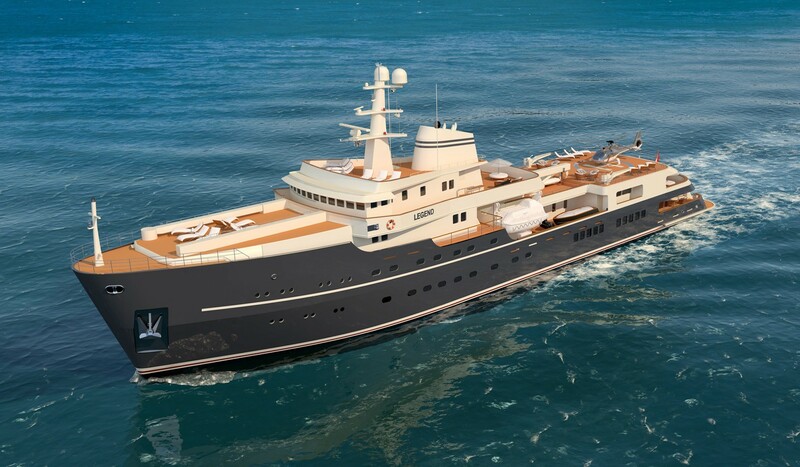 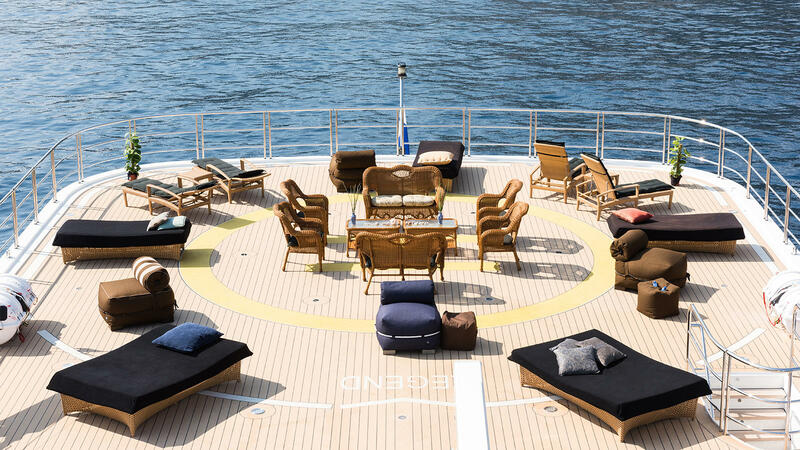 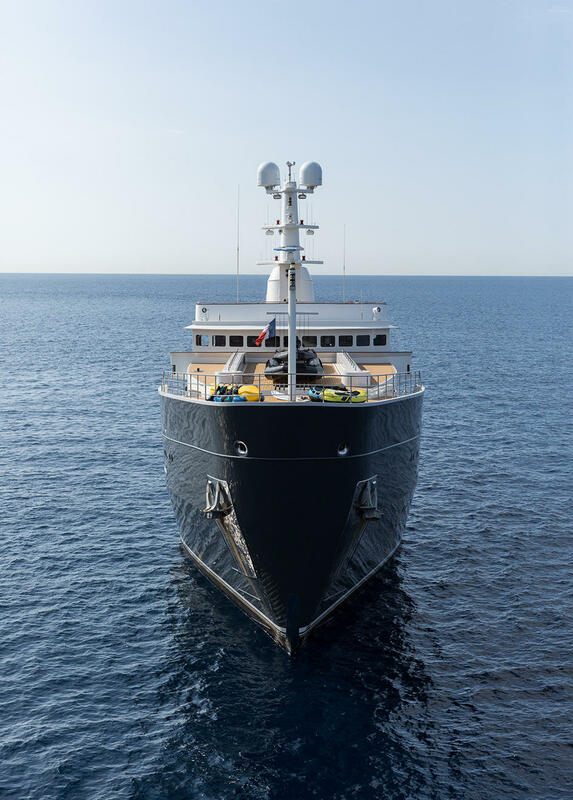 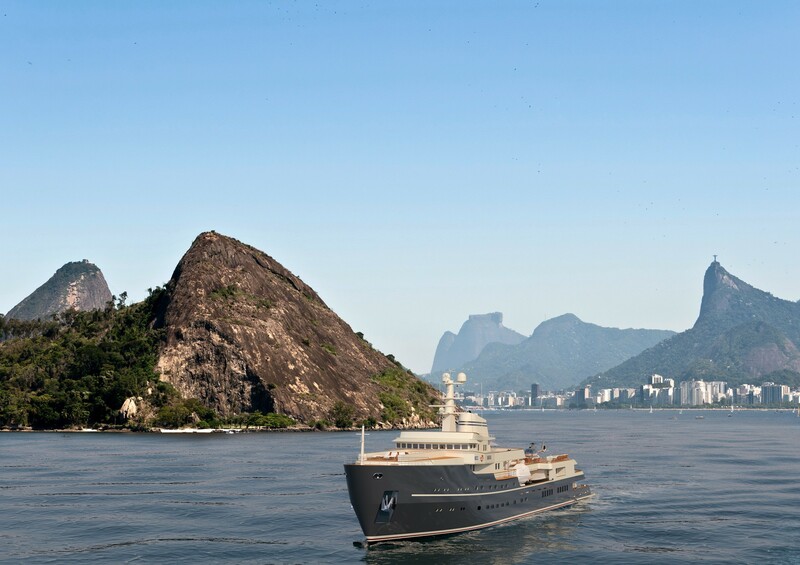 The luxury explorer yacht LEGEND also carries two large tenders as well as various other tenders for different purposes and expeditions. 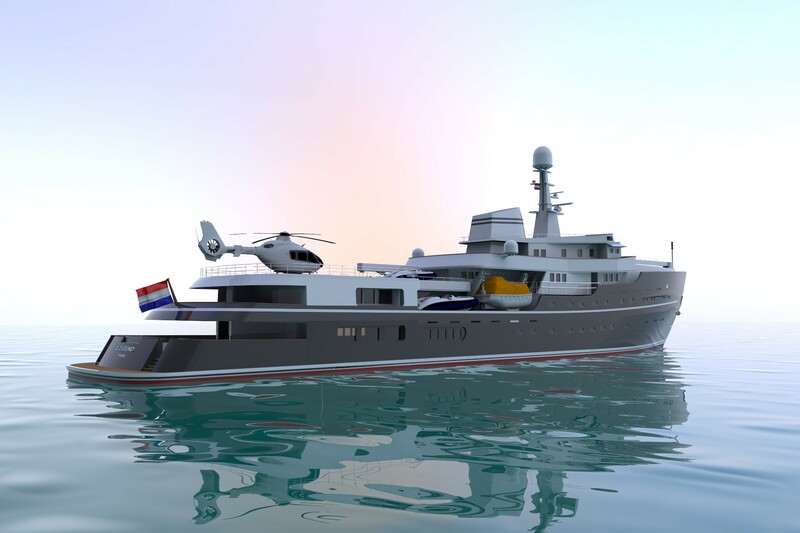 She has the ability to garage two snowmobiles, as well as a twin turbine helicopter on a specially designed landing platform. 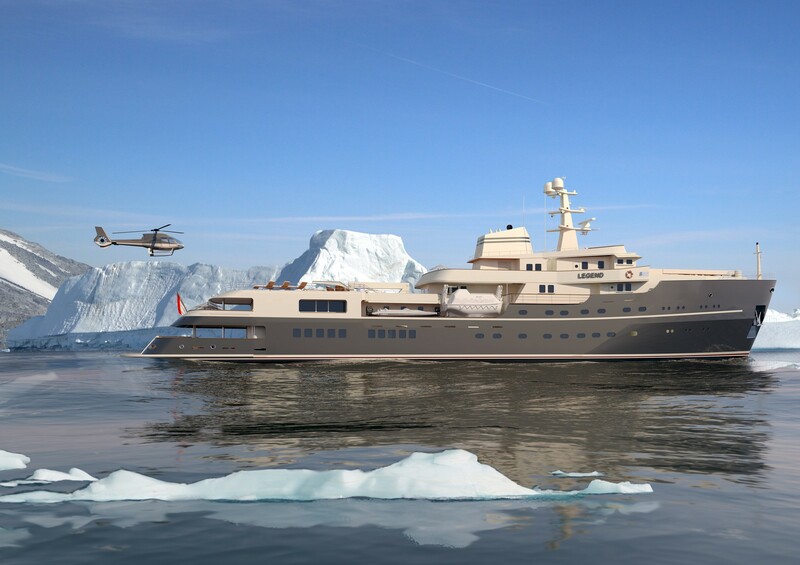 The helicopter landing pad is commercially certified, and there is space for a submarine to be stored in a garage on the forward deck. 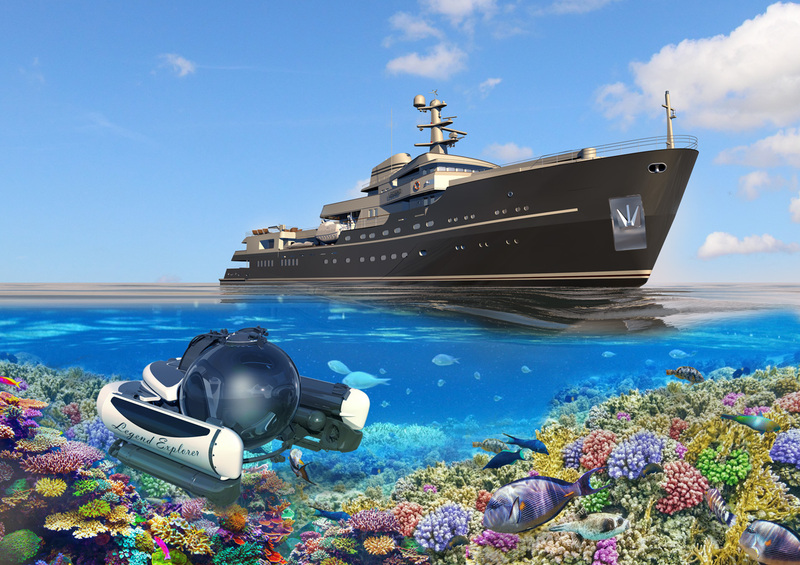 Both helicopter and submarine can be chartered at an extra cost. 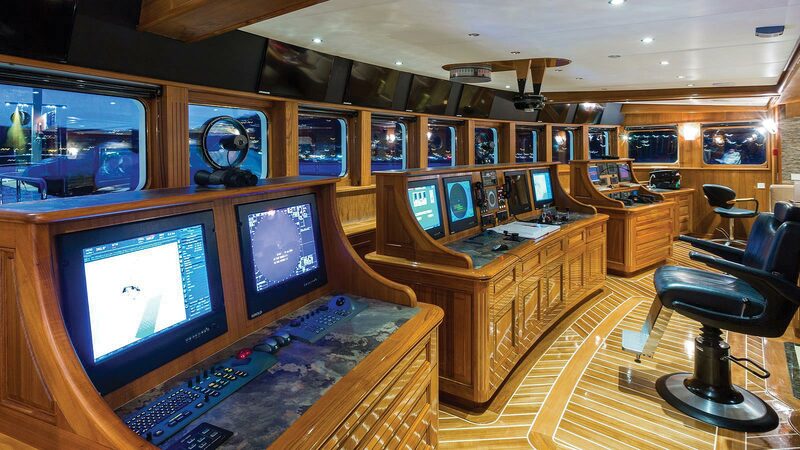 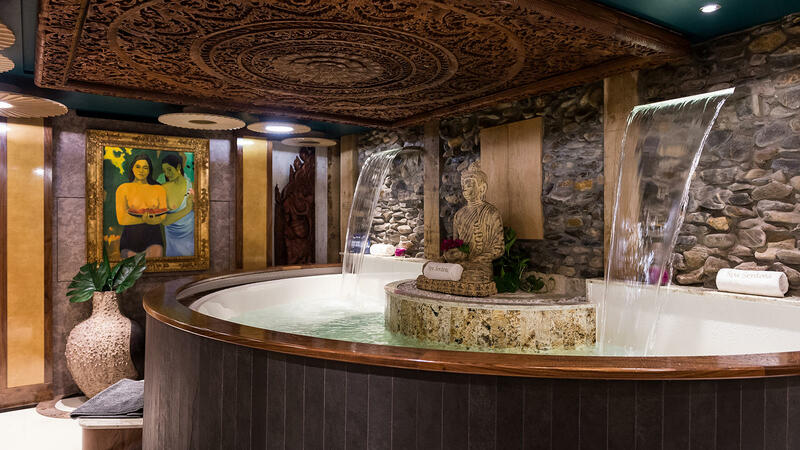 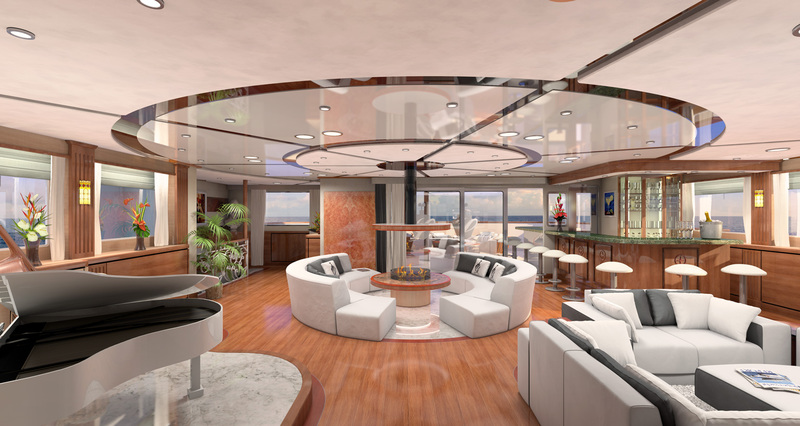 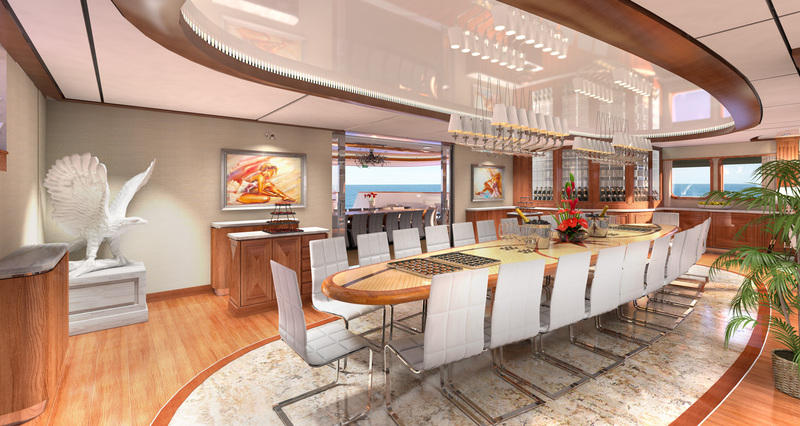 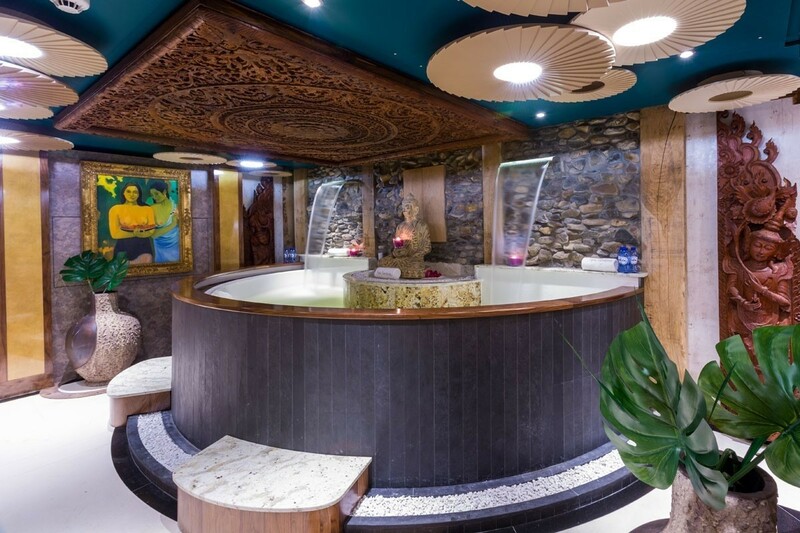 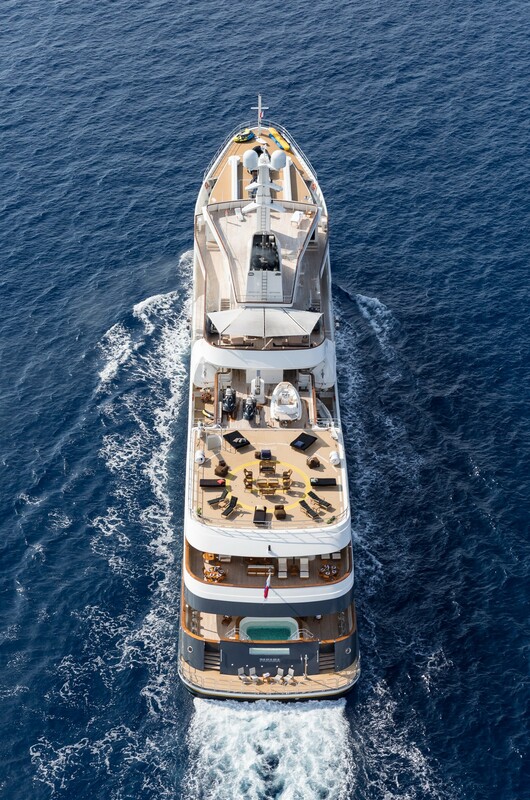 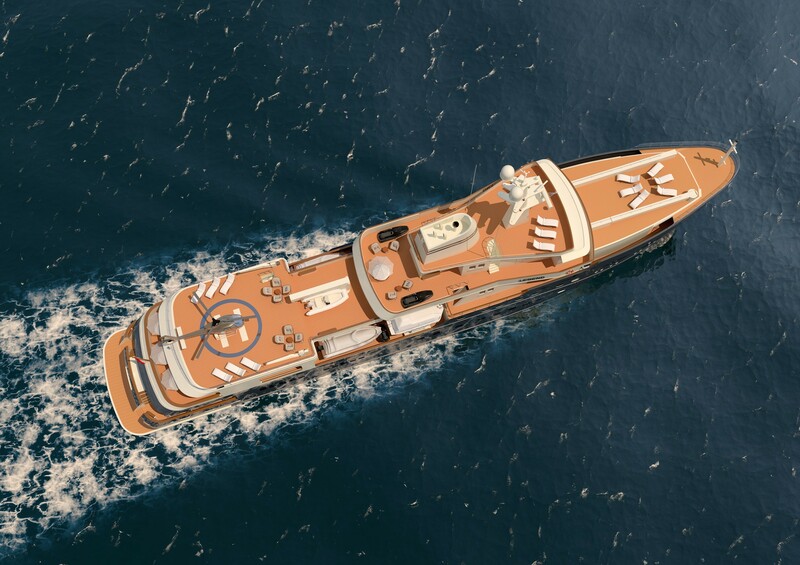 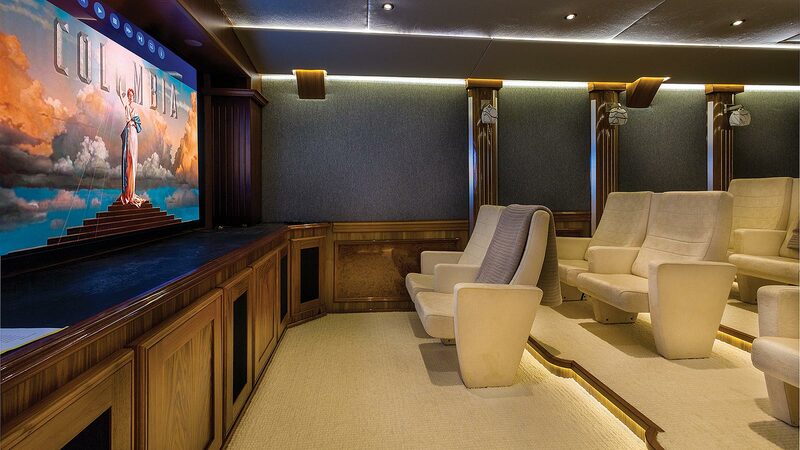 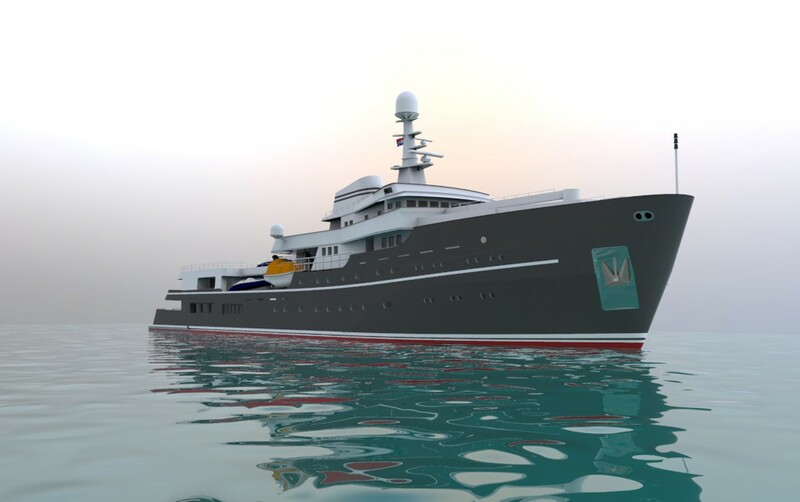 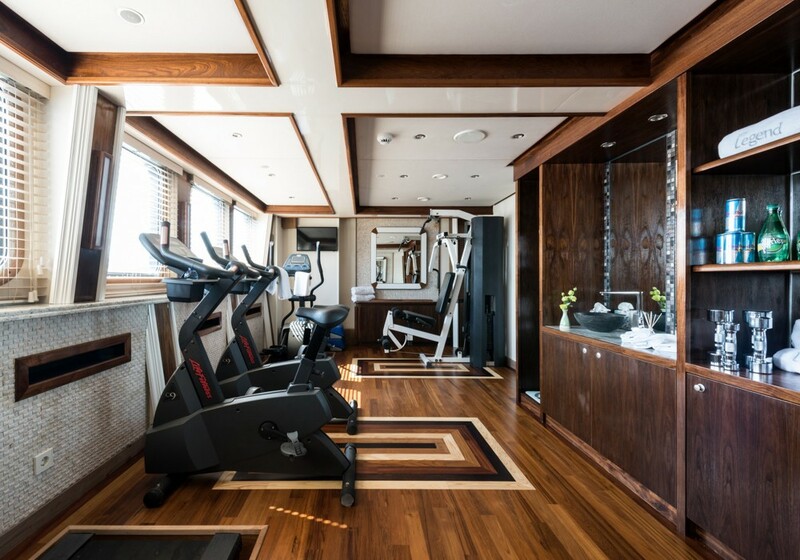 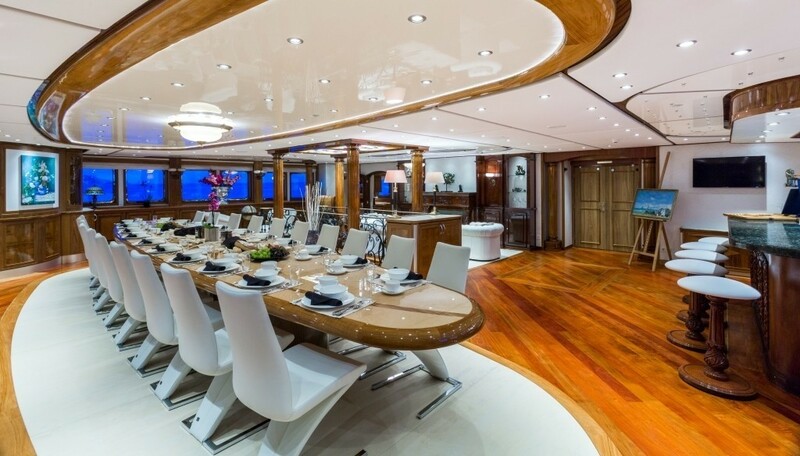 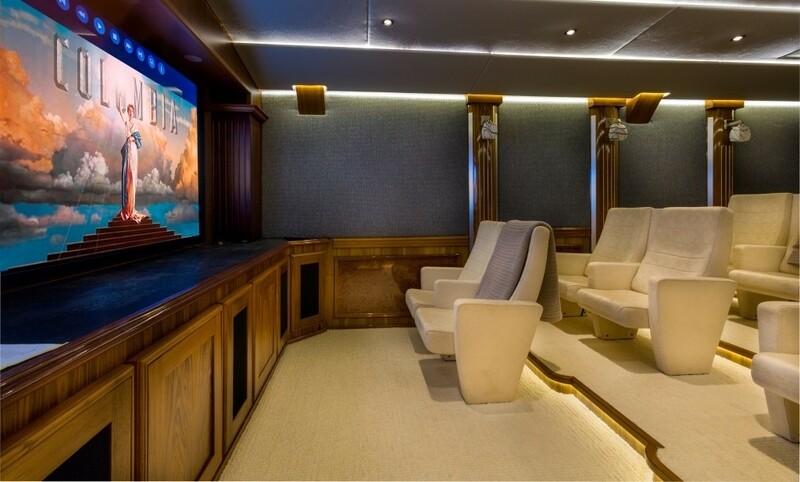 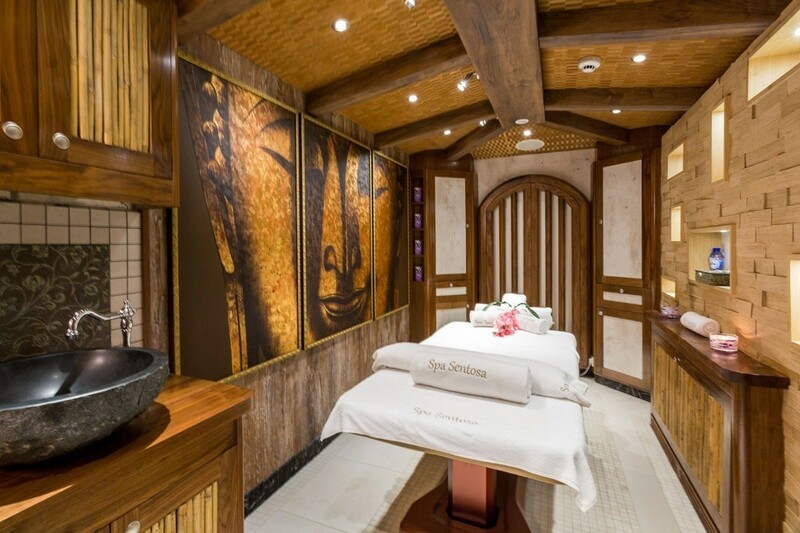 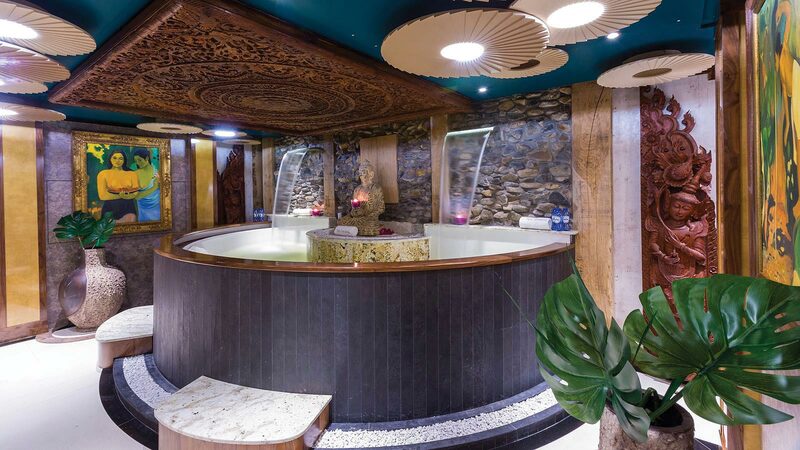 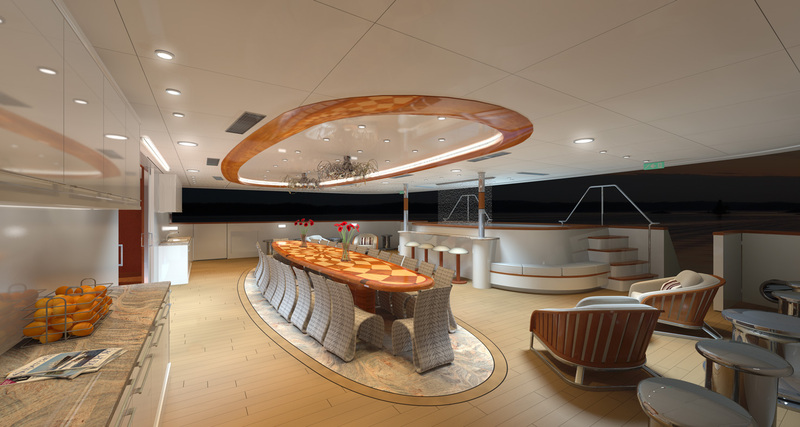 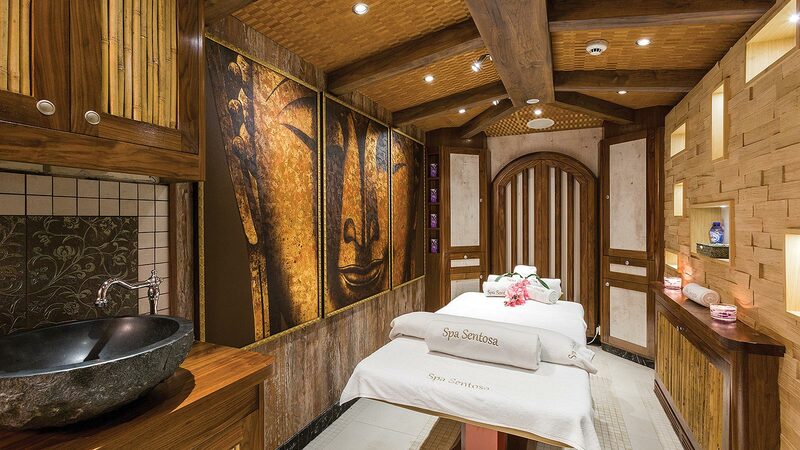 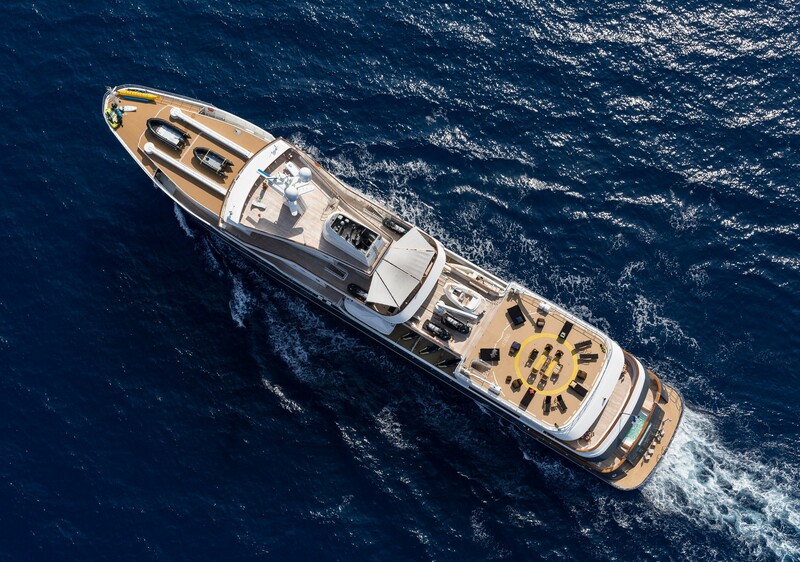 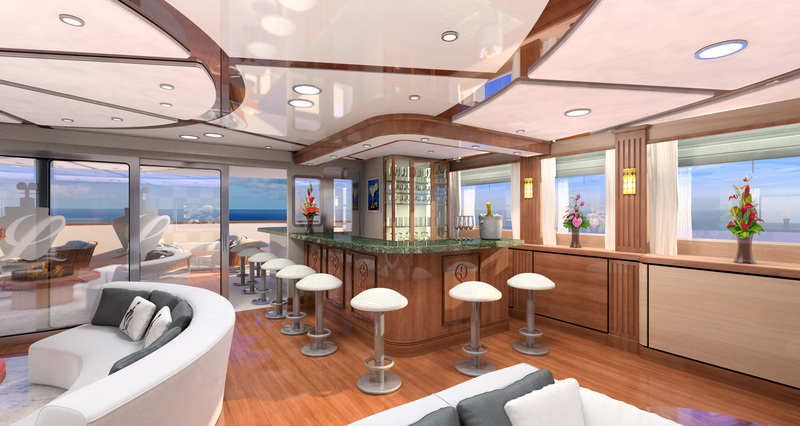 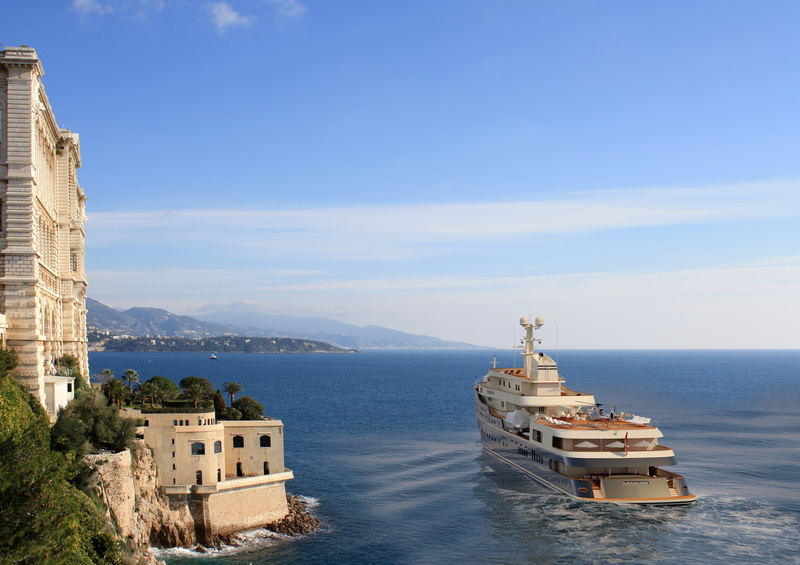 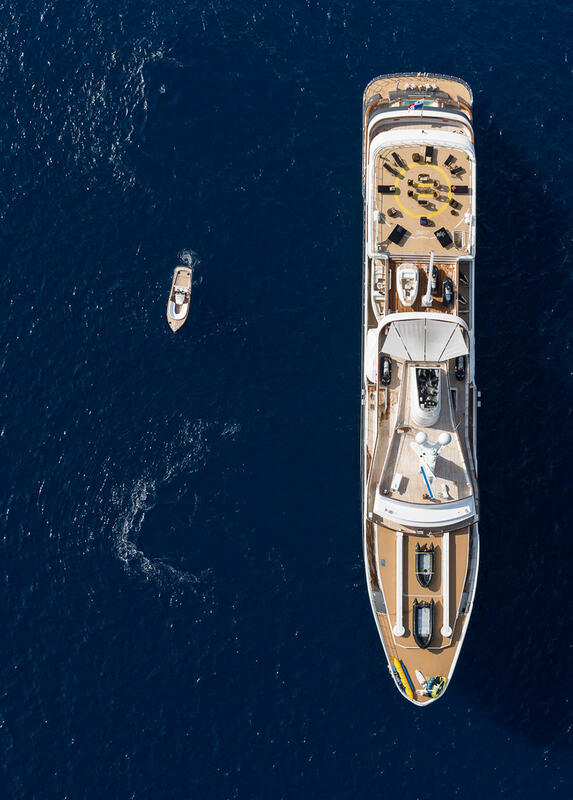 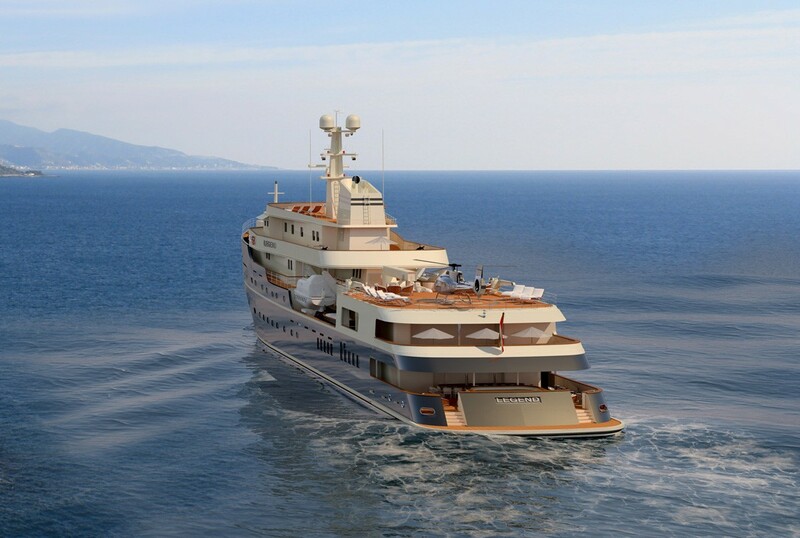 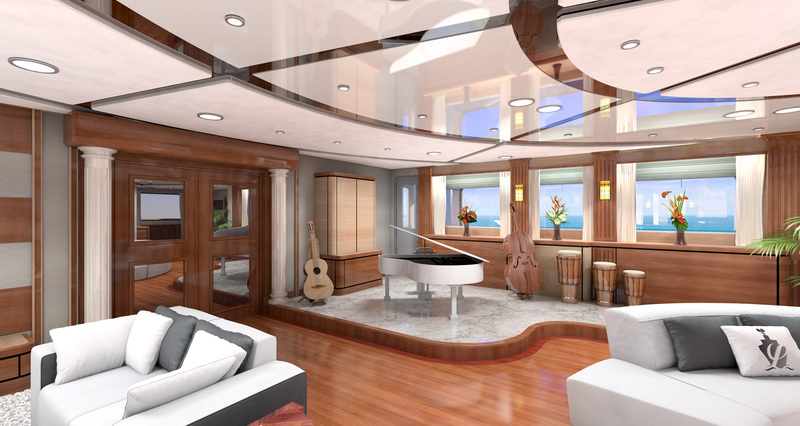 The Superyacht LEGEND (ex GIANT) also features a Gym, a Balinese Spa with Sauna, jacuzzi and beauty salon, a Movie Theatre and entertainment system, Medical suite, Swimming pool and every toy you can imagine. 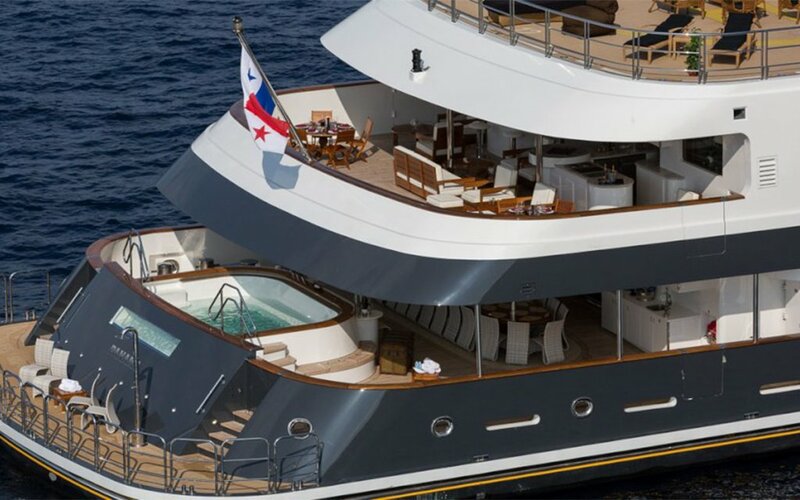 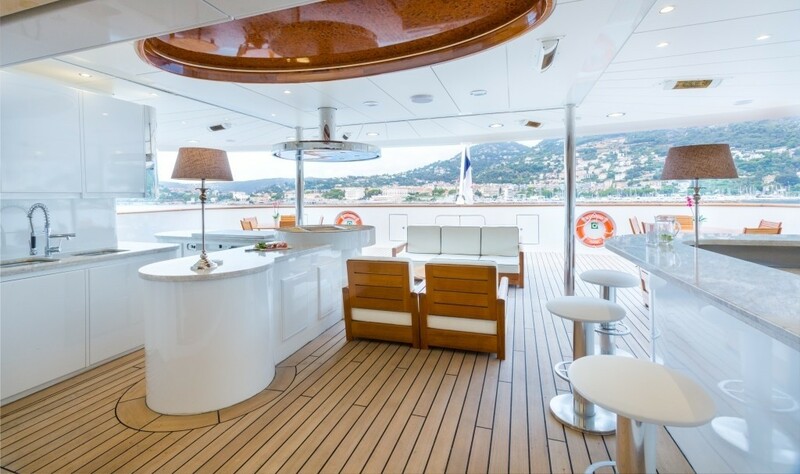 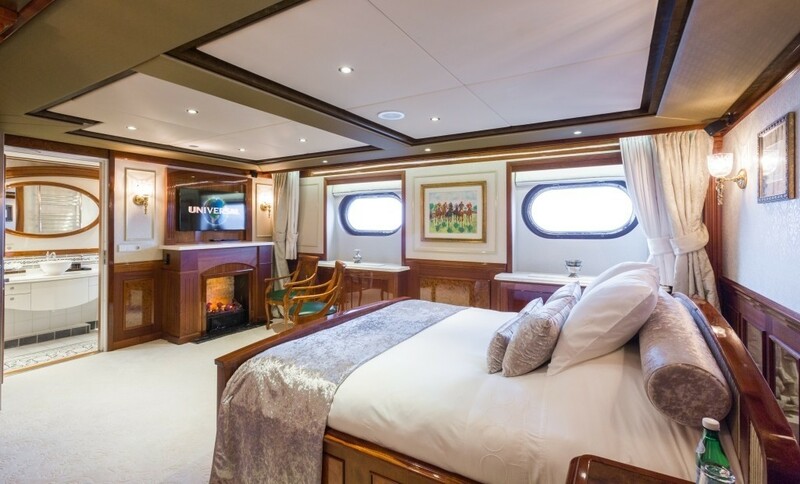 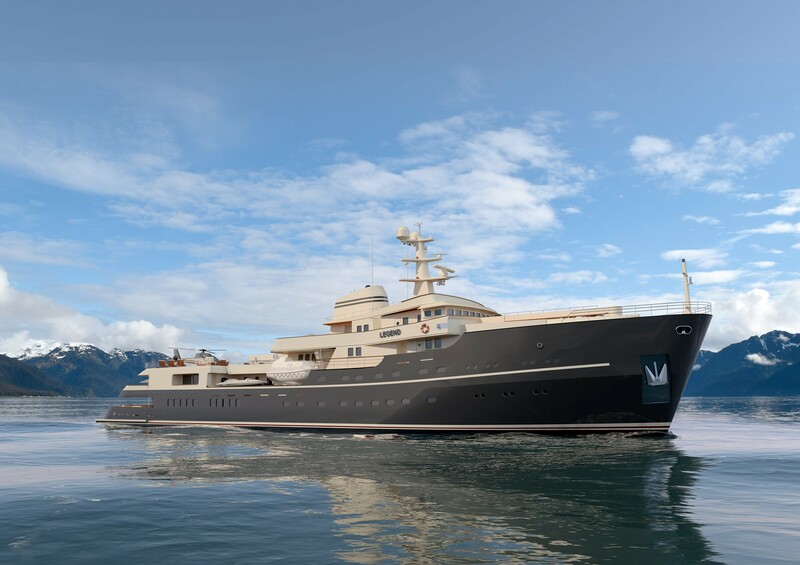 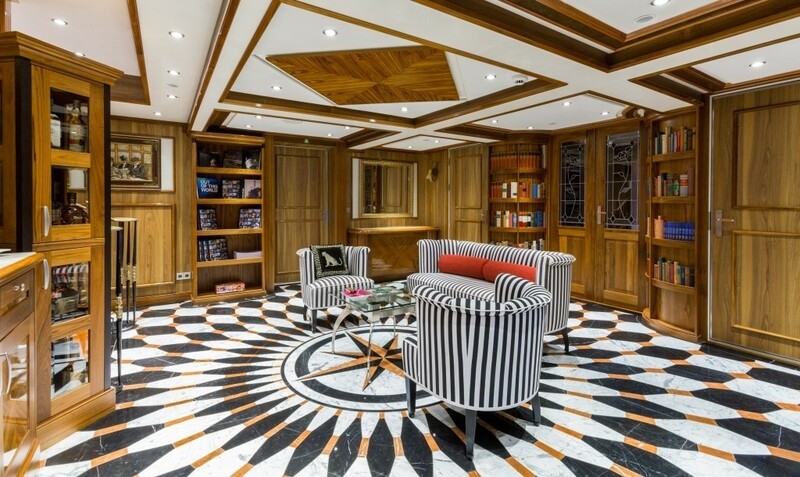 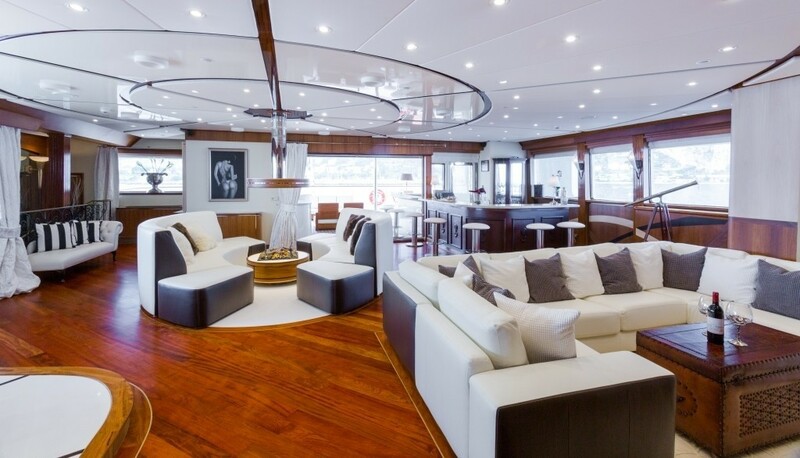 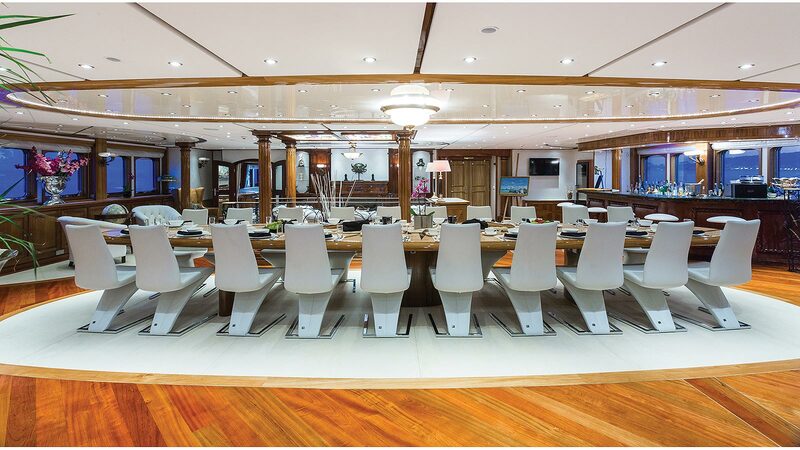 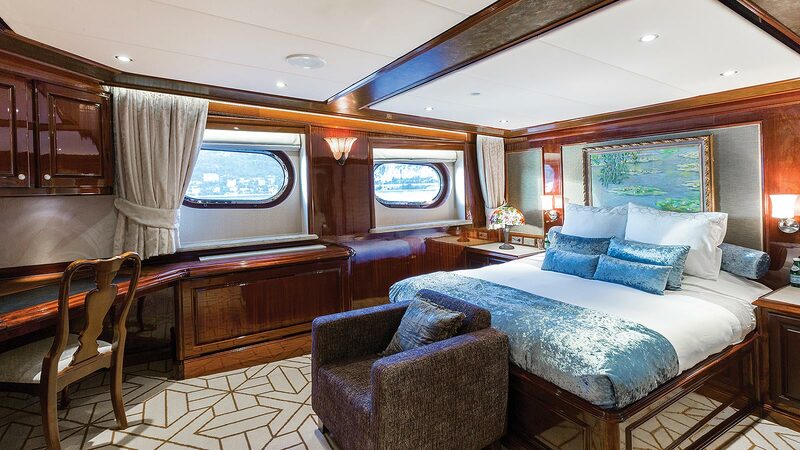 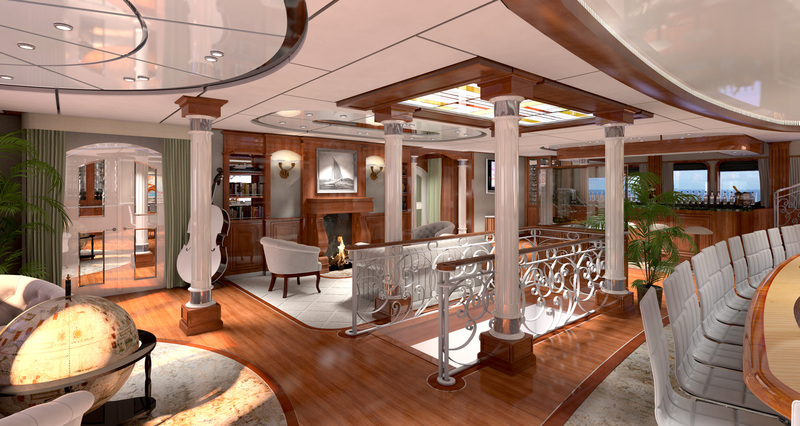 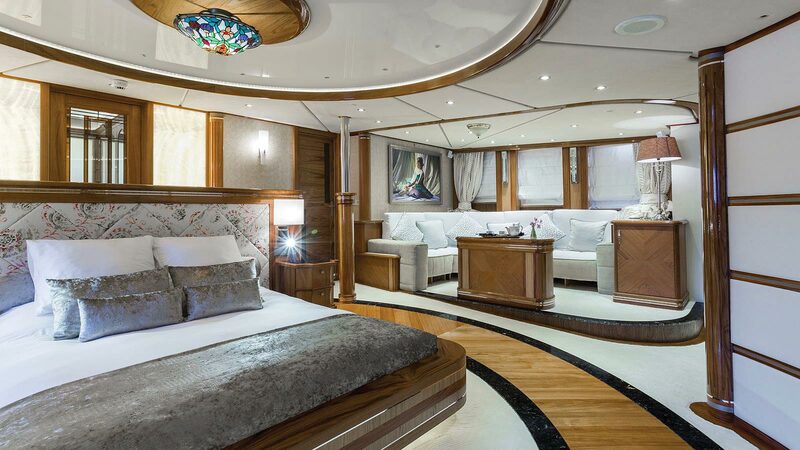 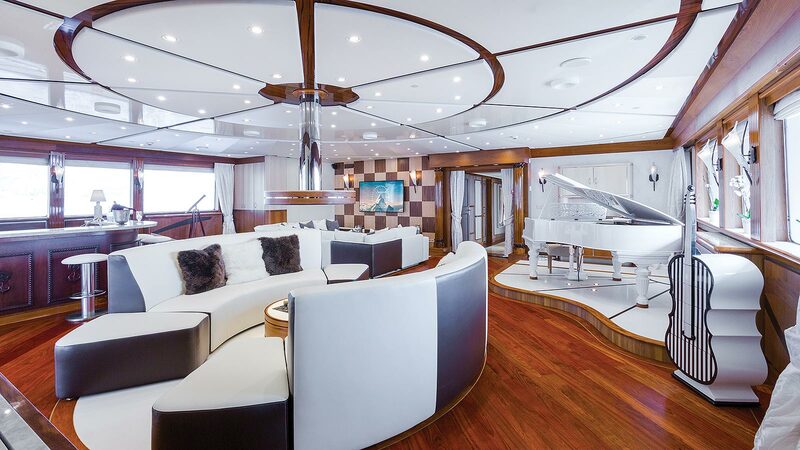 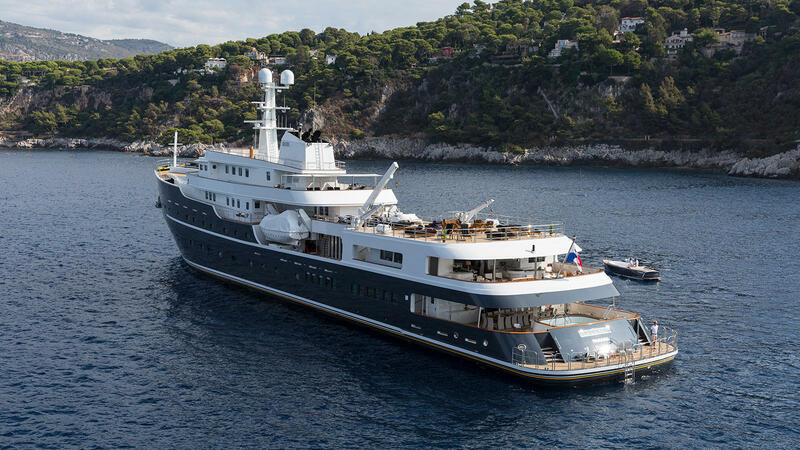 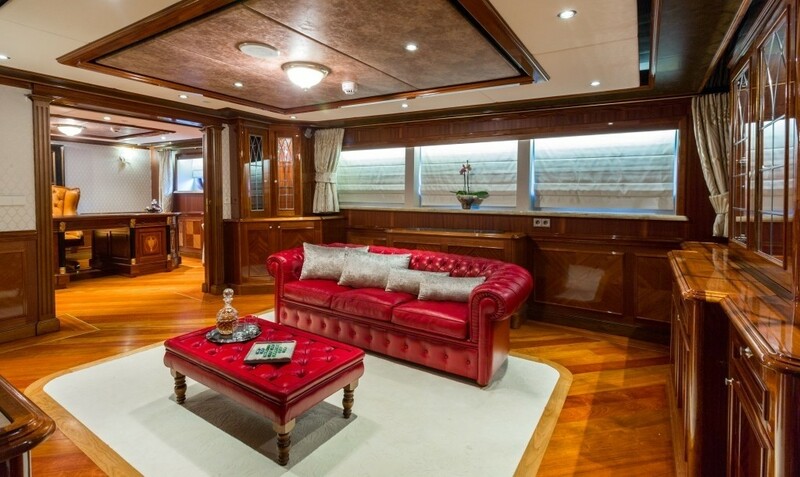 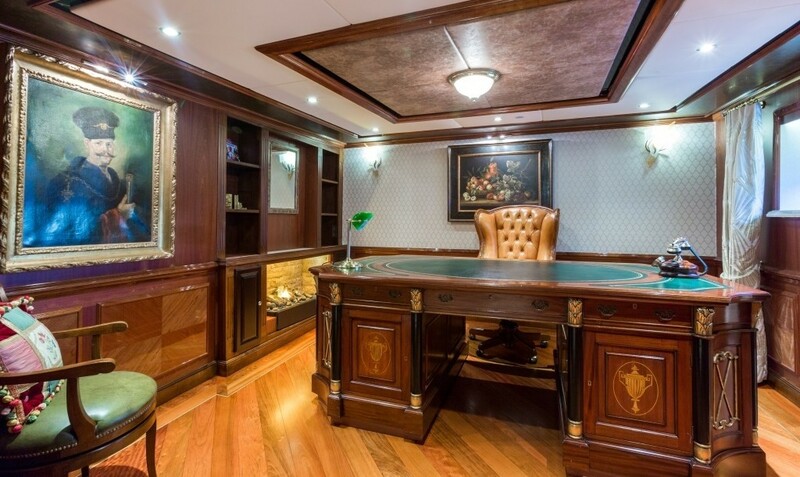 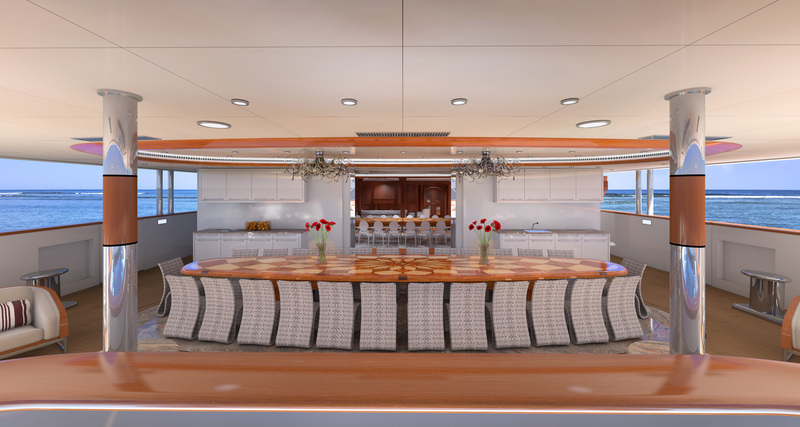 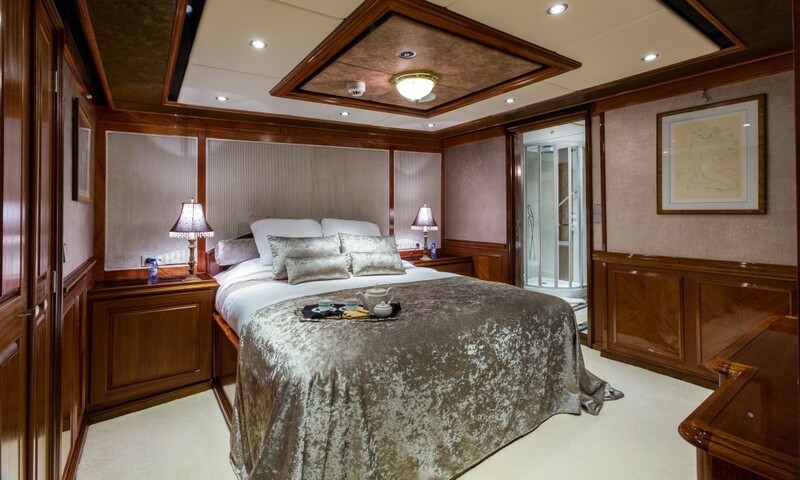 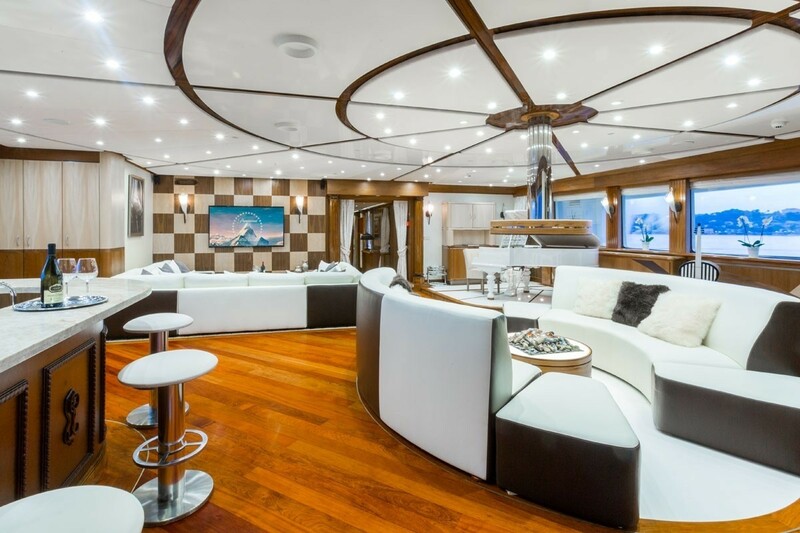 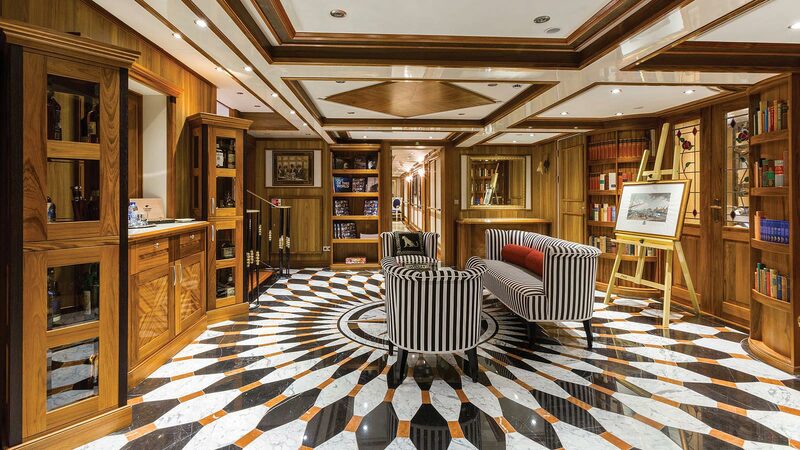 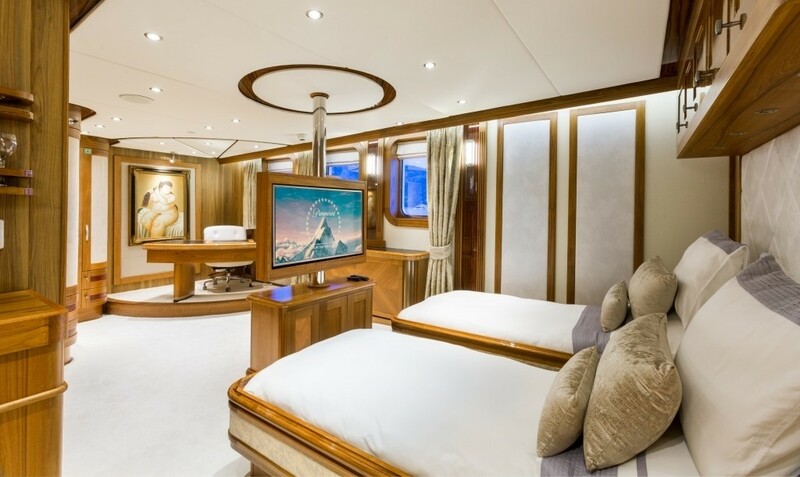 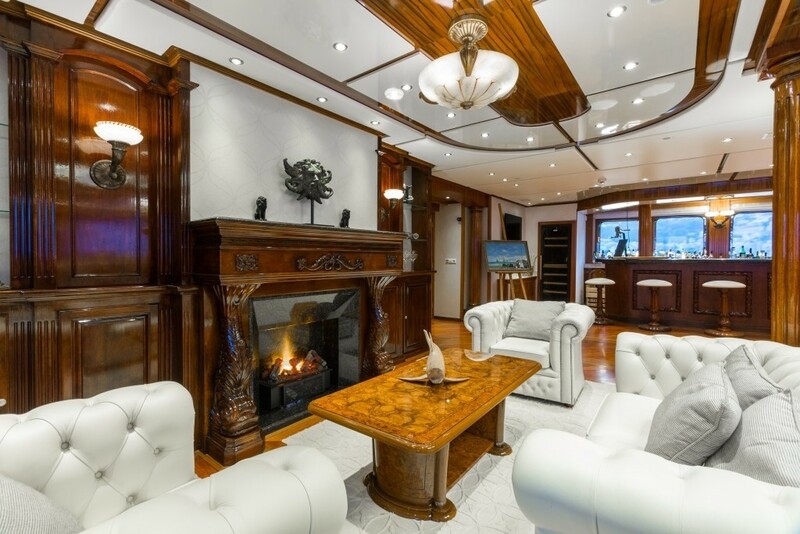 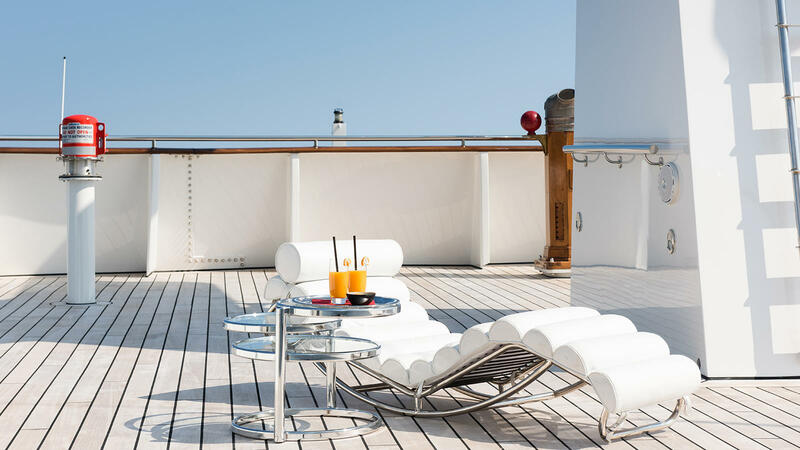 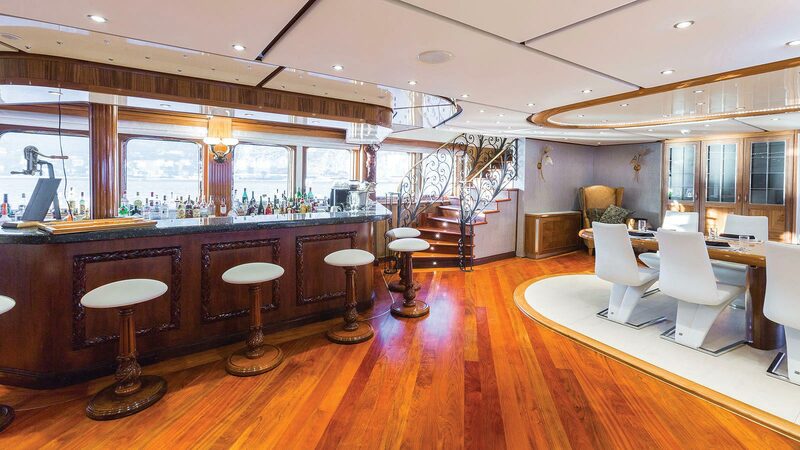 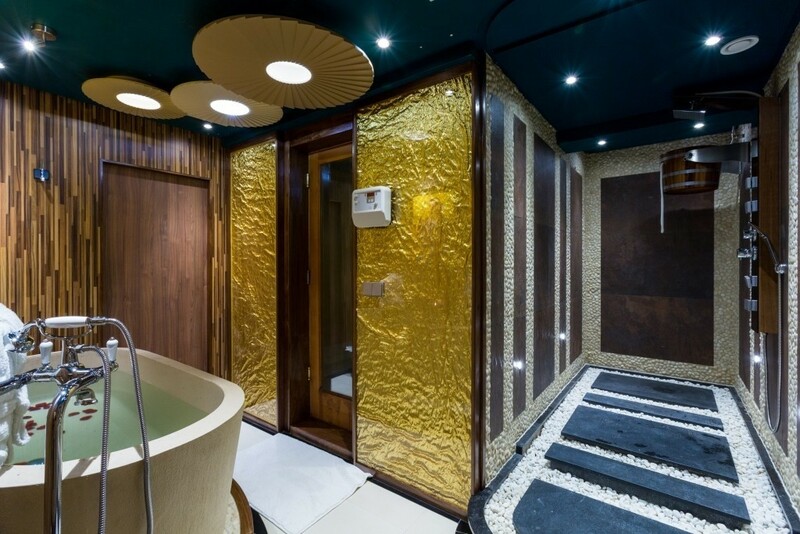 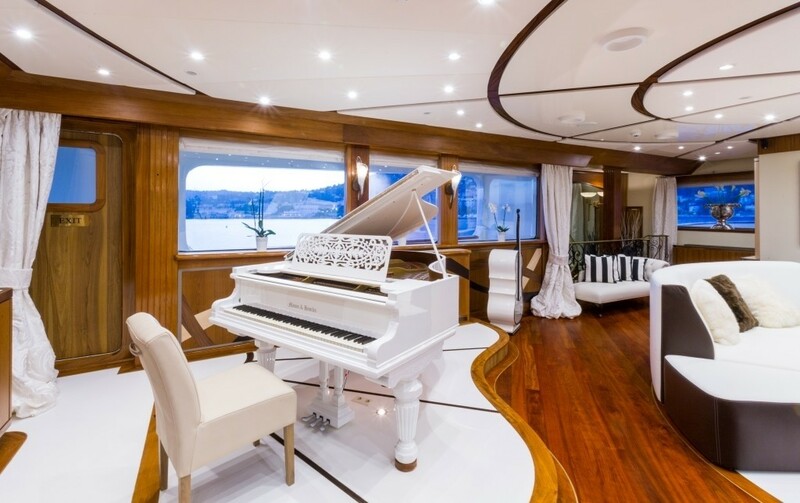 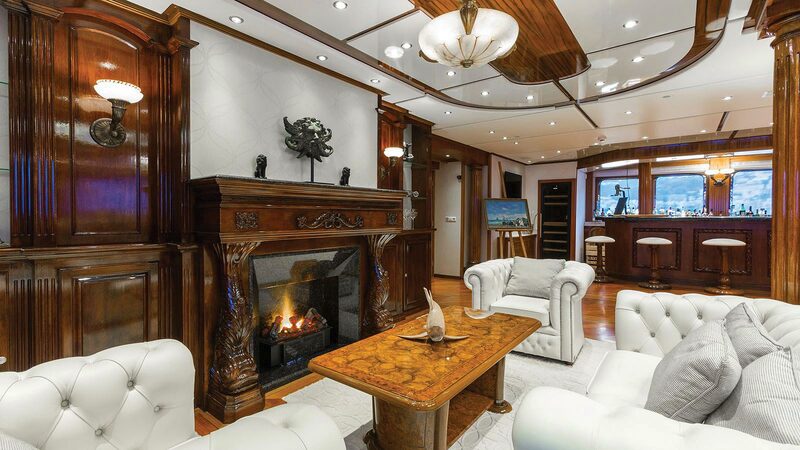 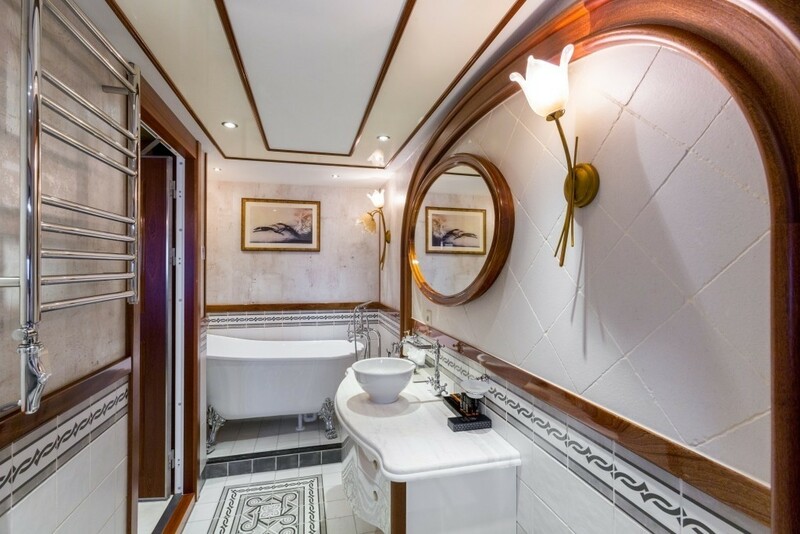 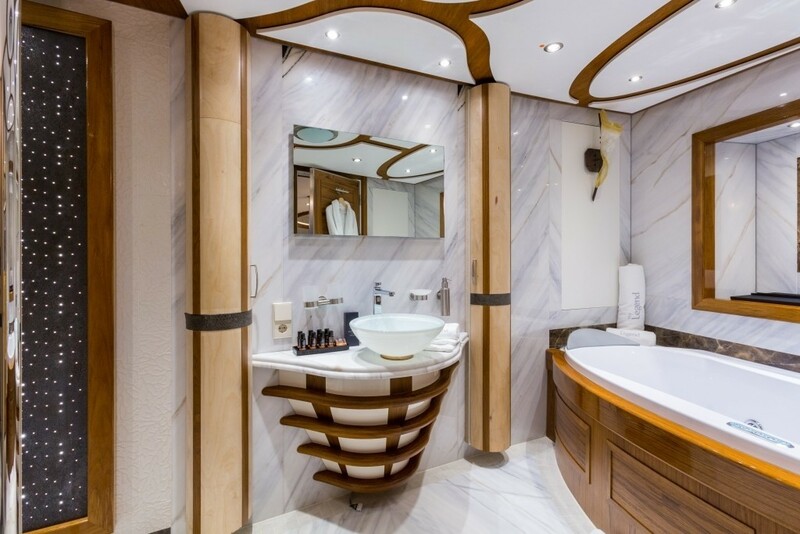 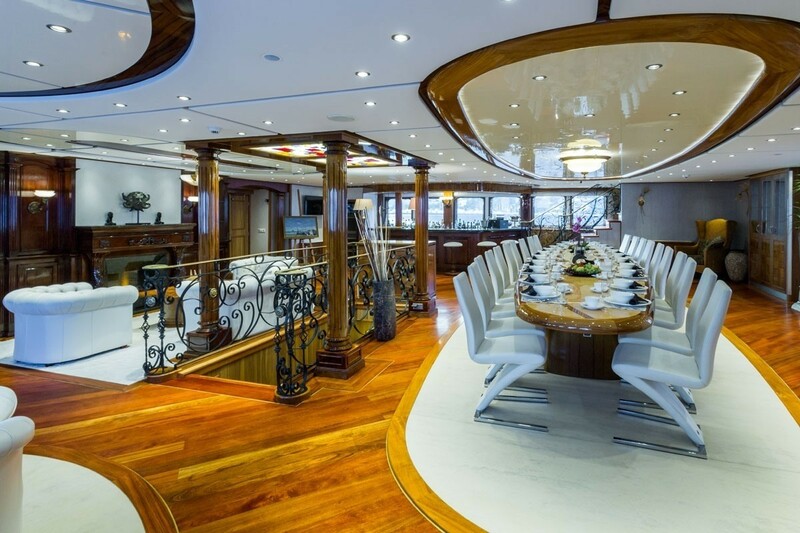 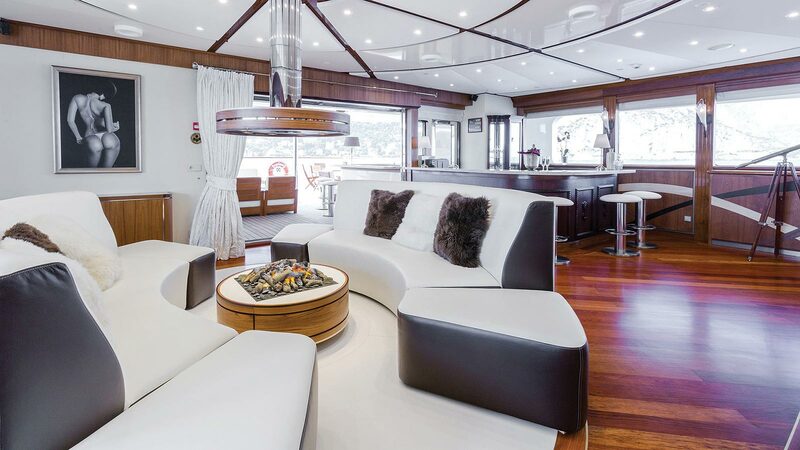 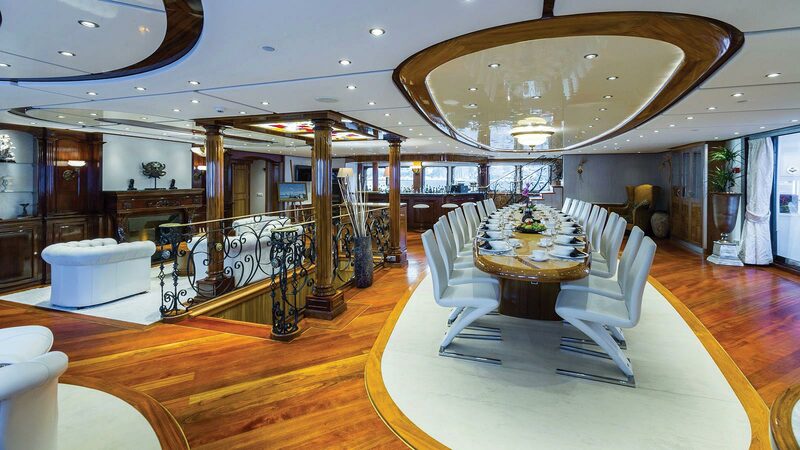 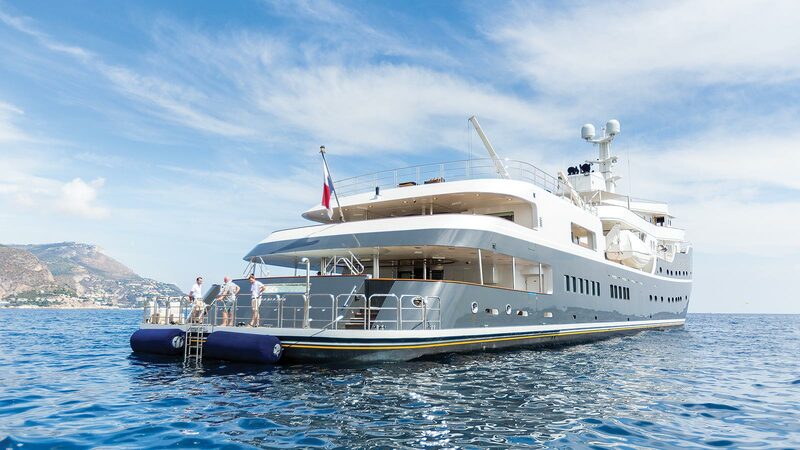 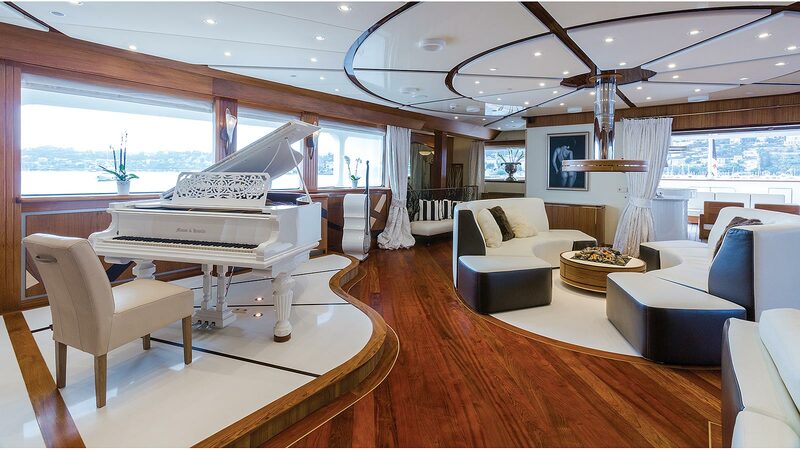 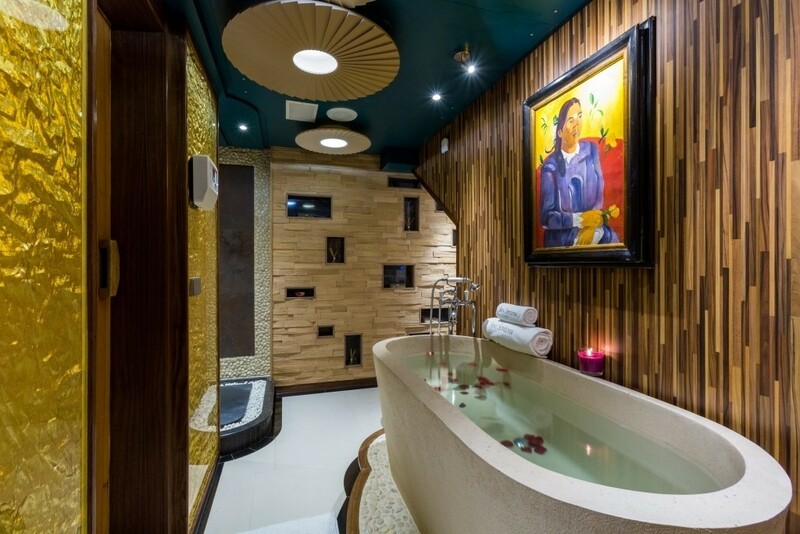 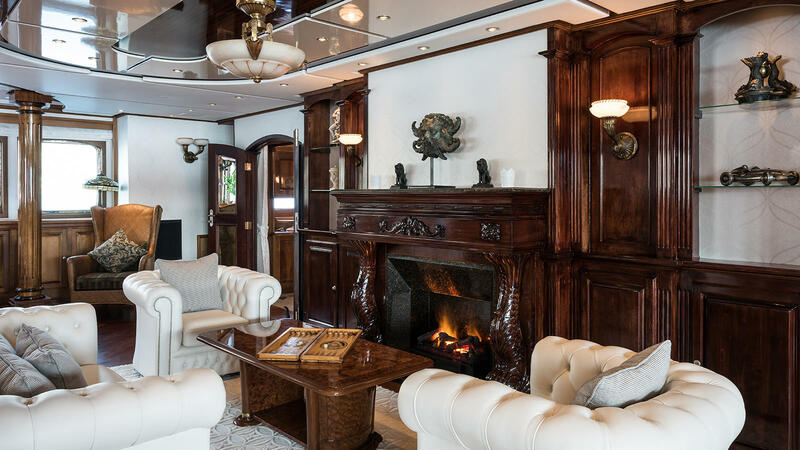 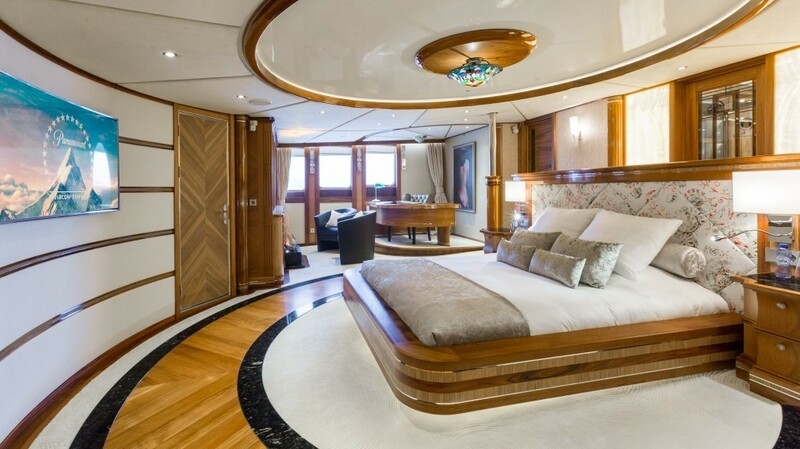 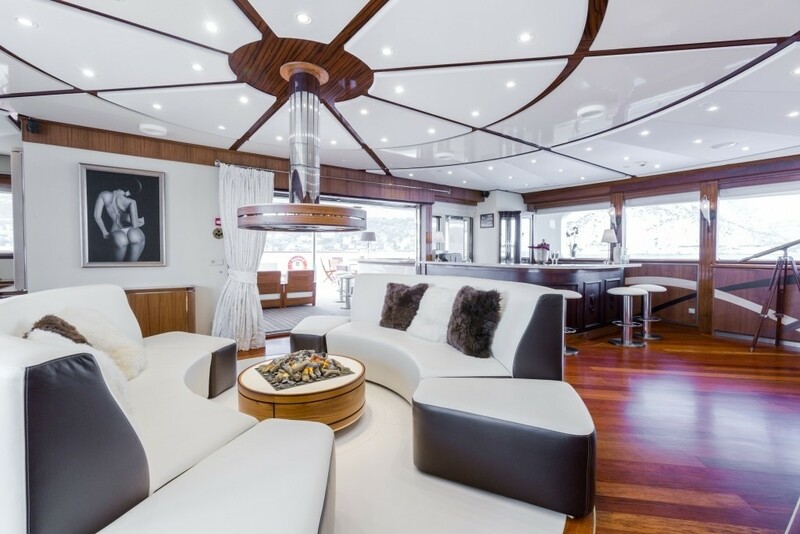 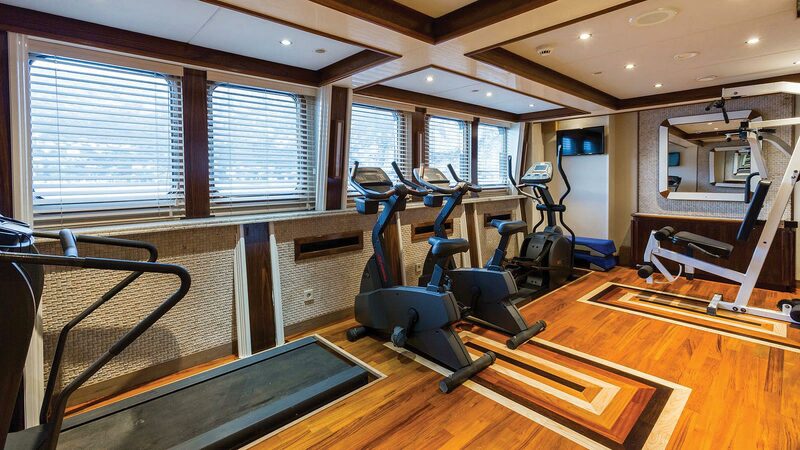 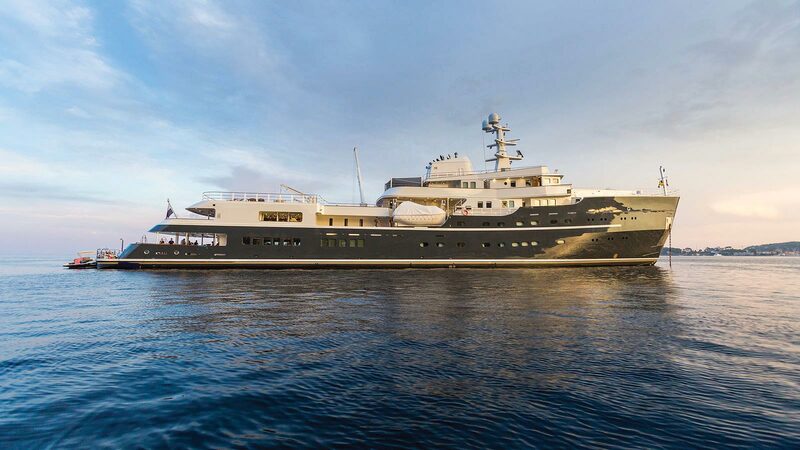 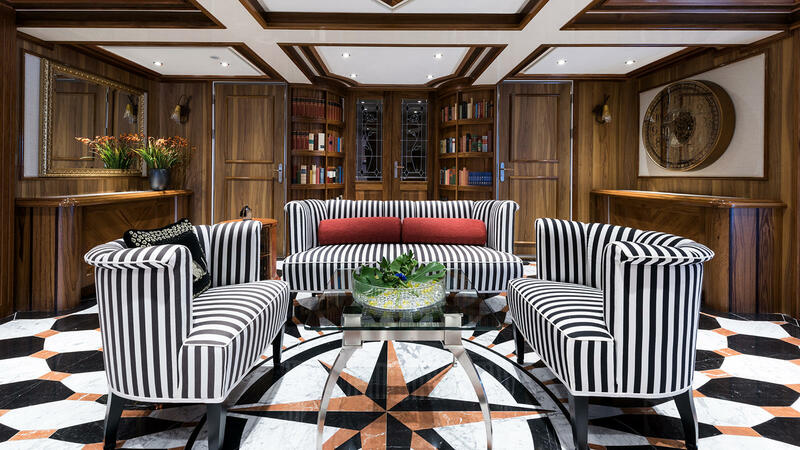 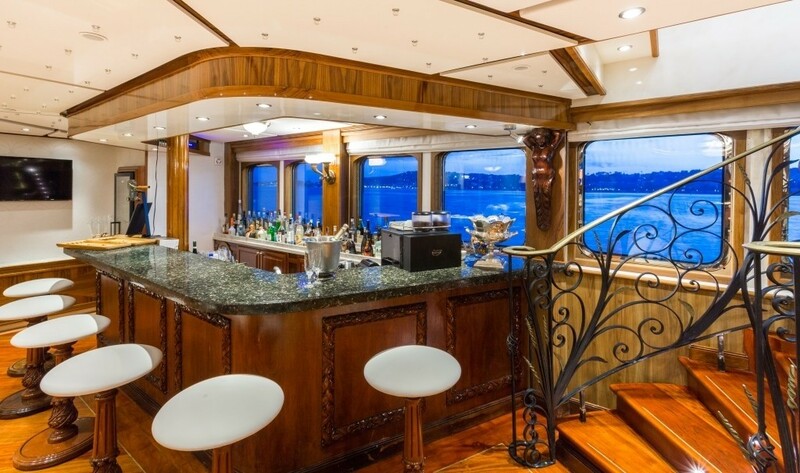 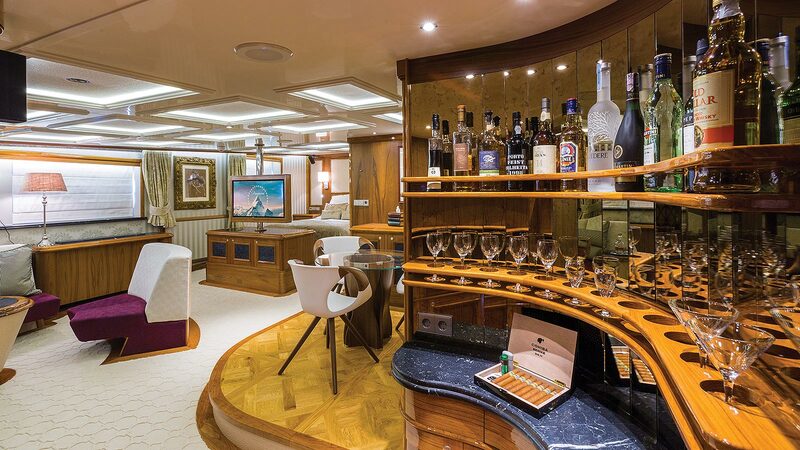 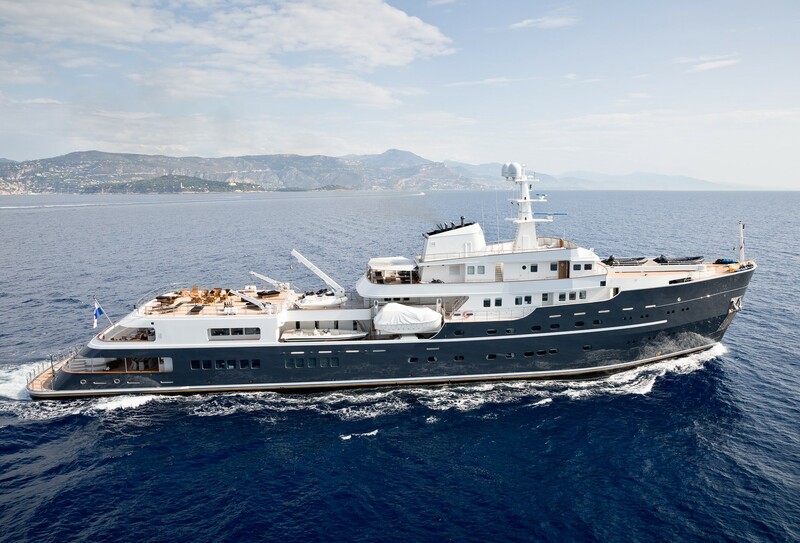 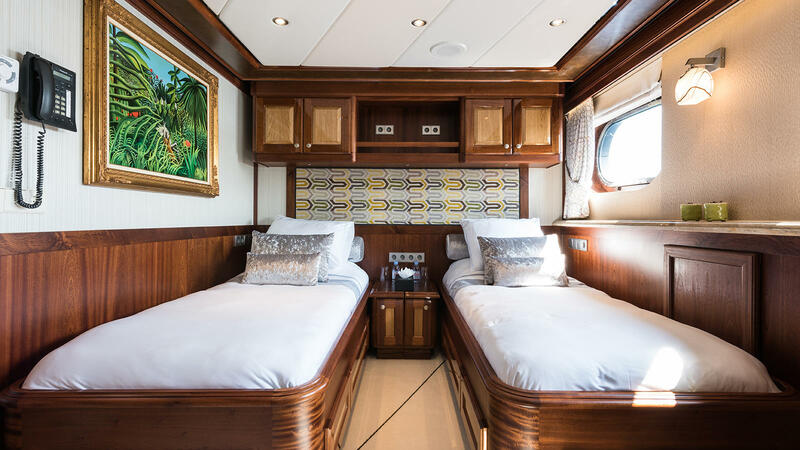 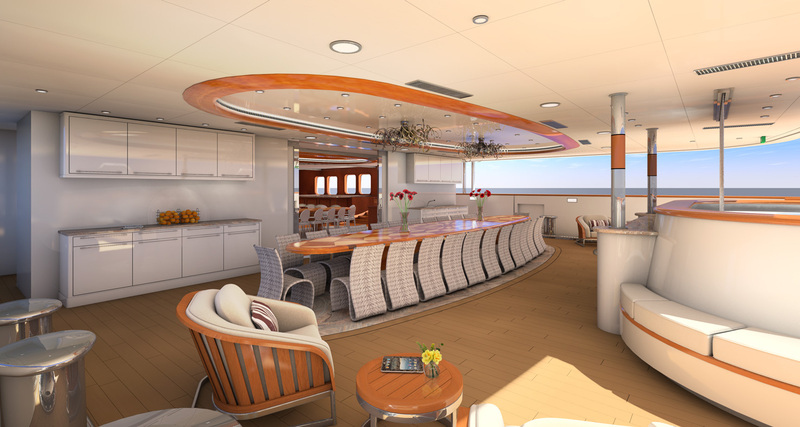 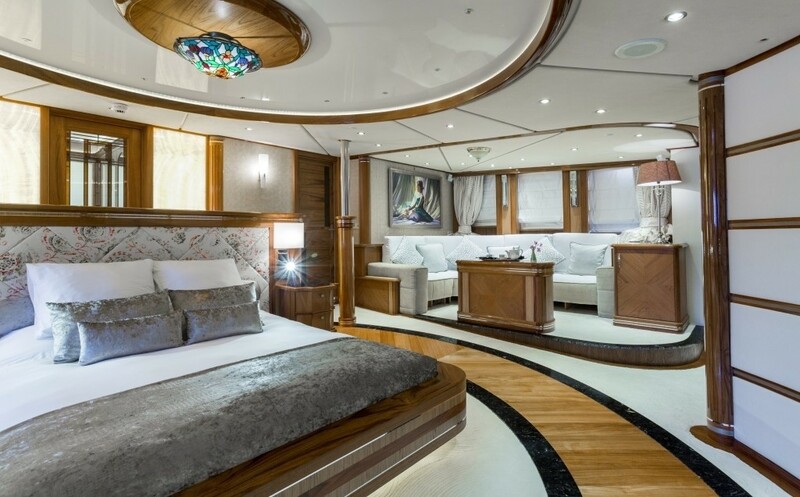 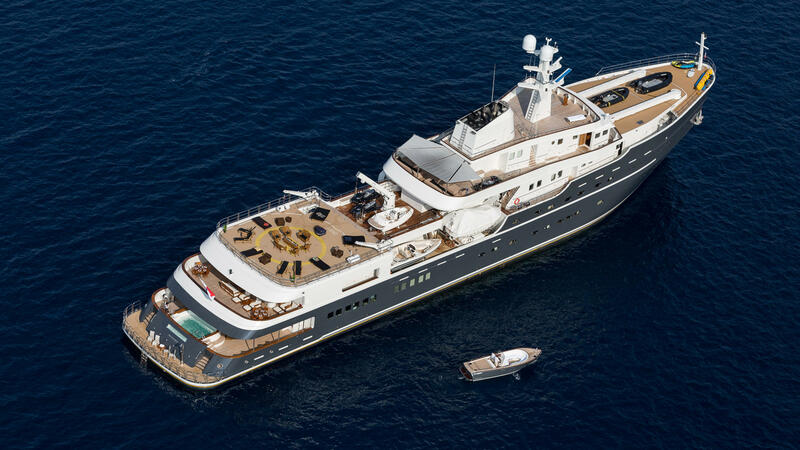 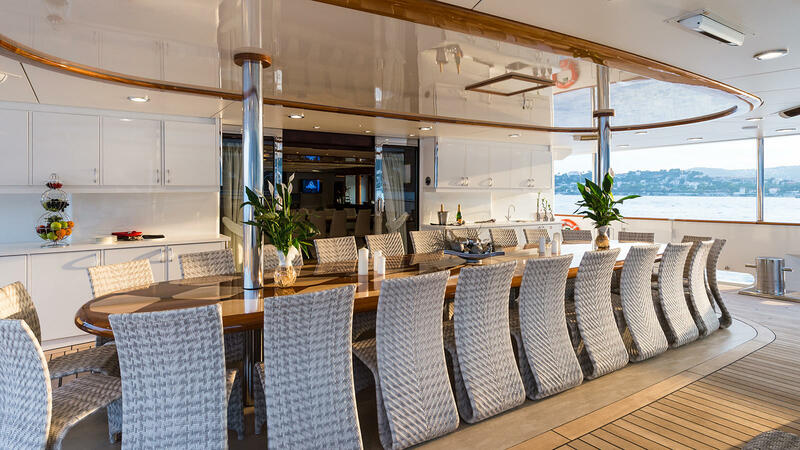 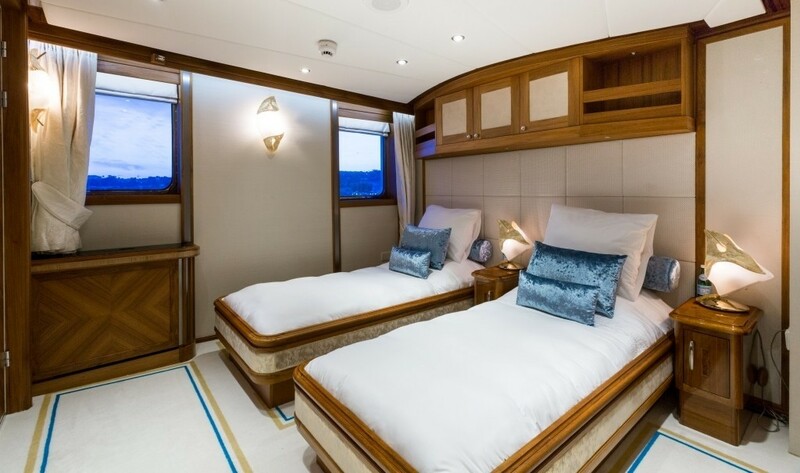 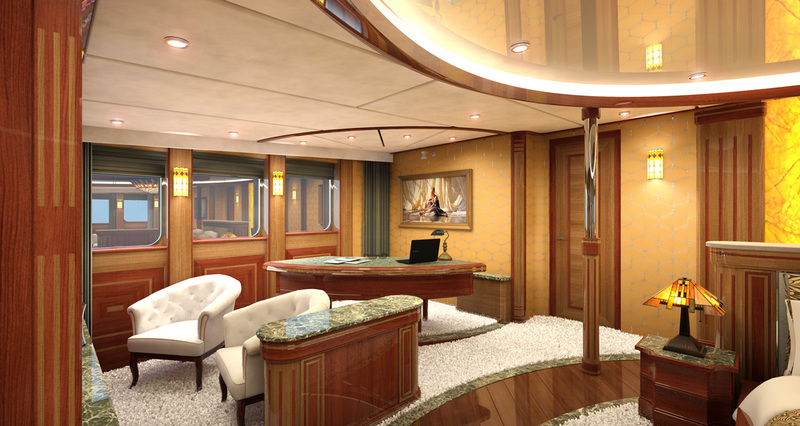 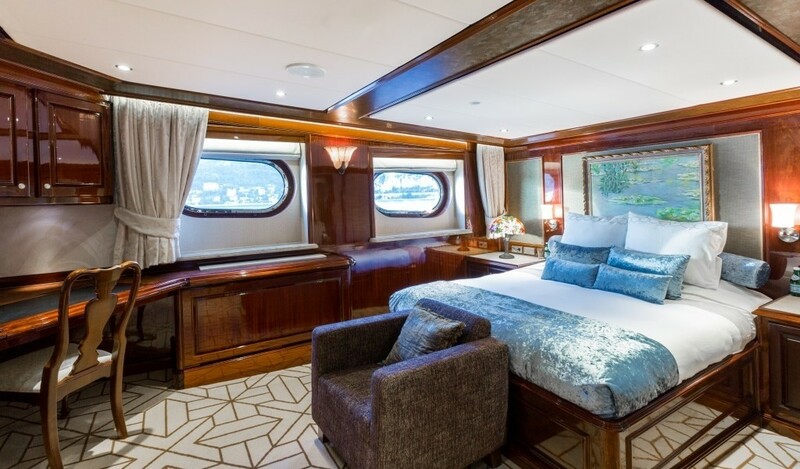 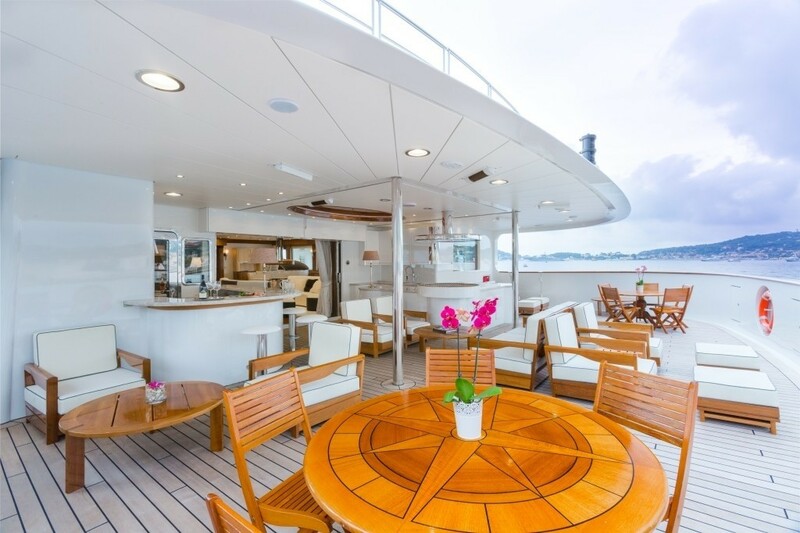 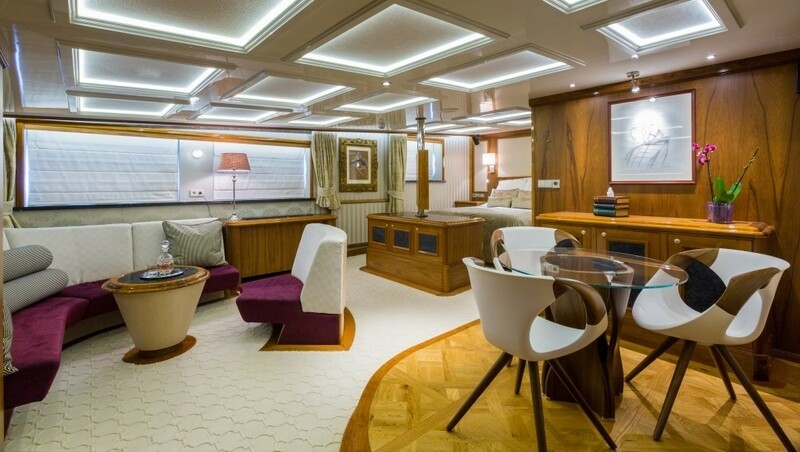 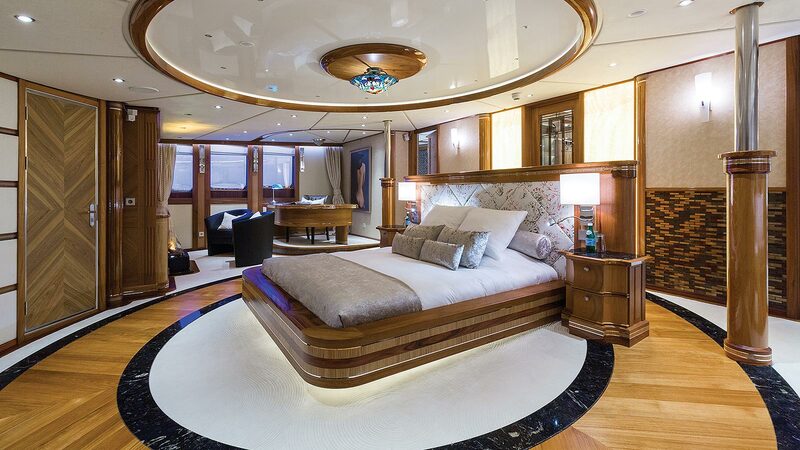 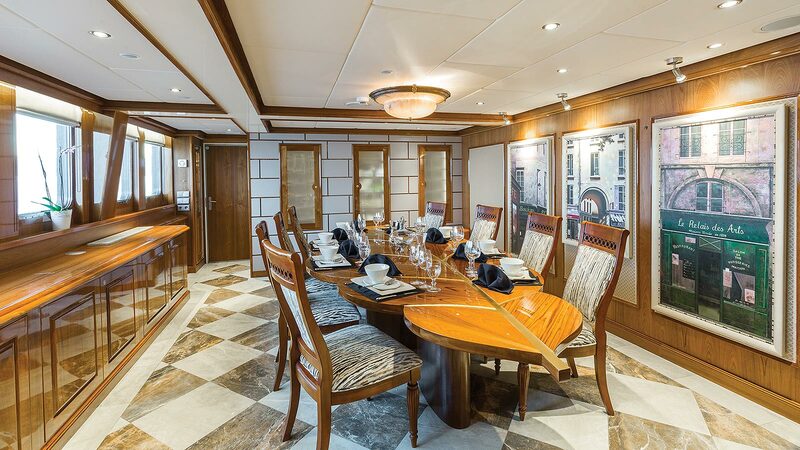 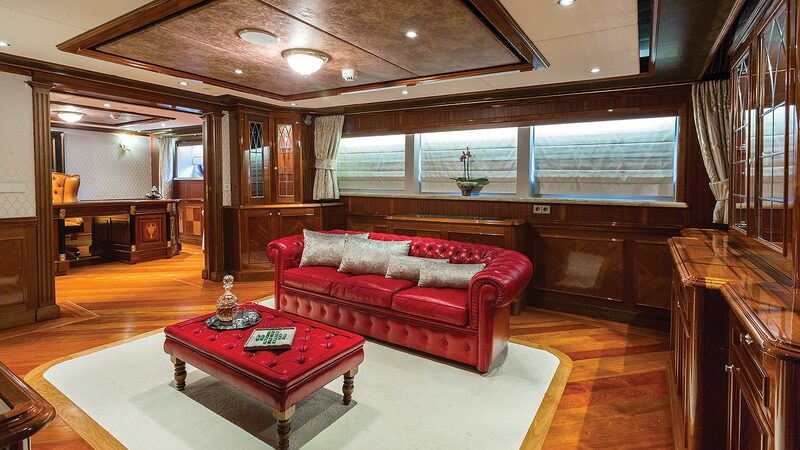 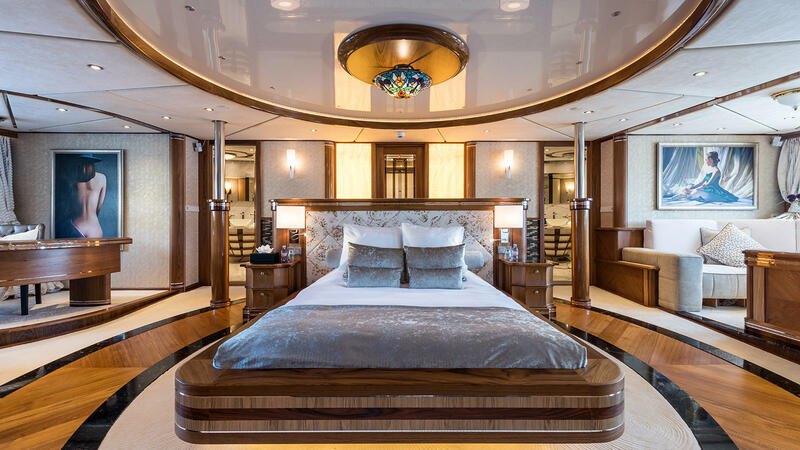 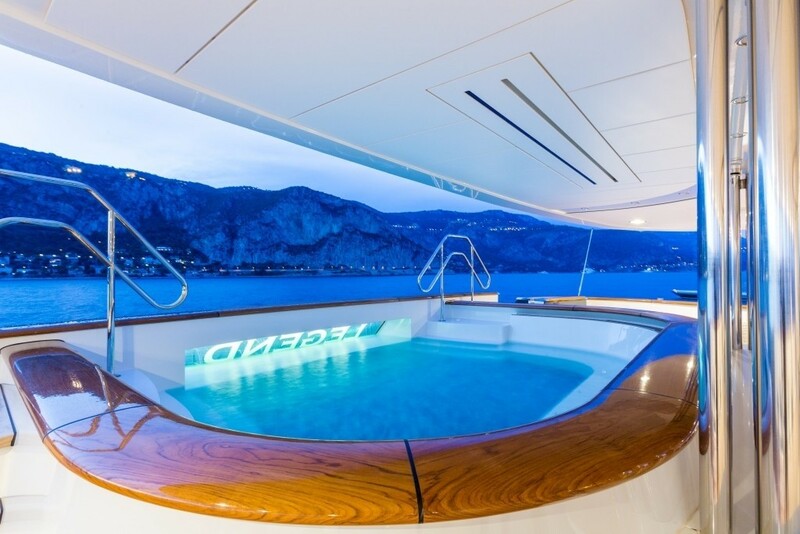 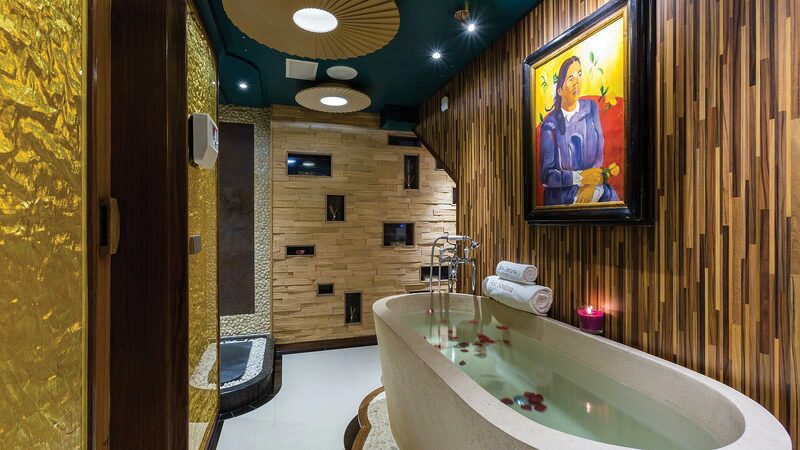 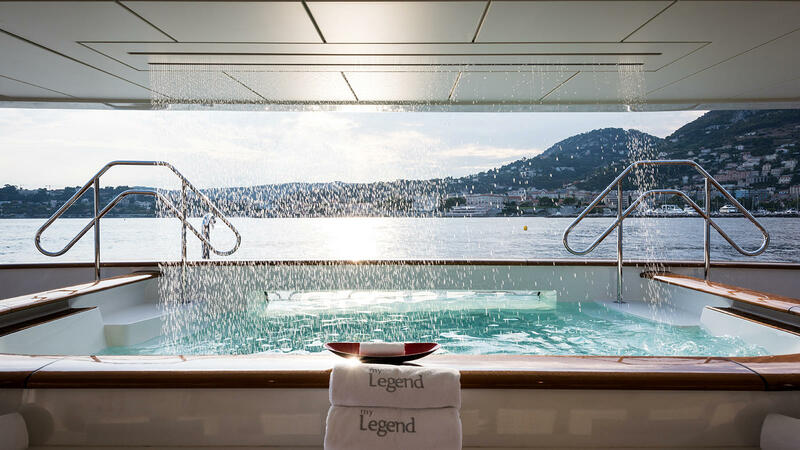 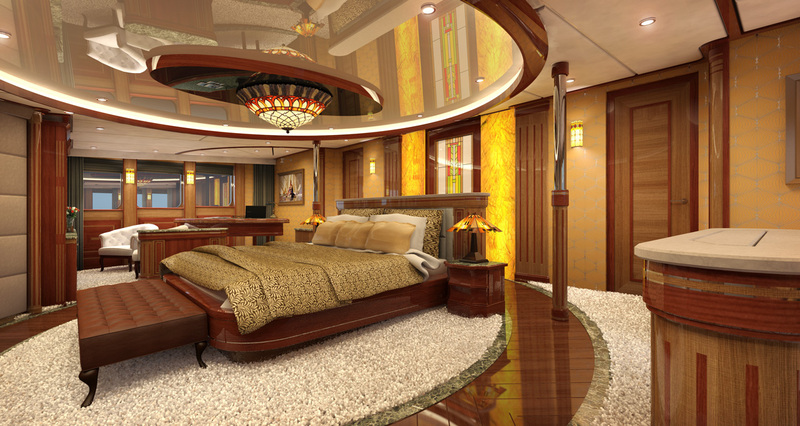 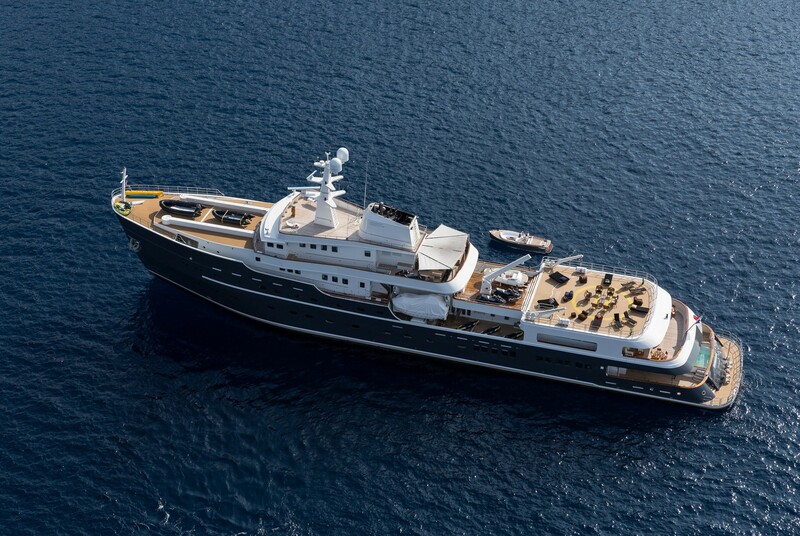 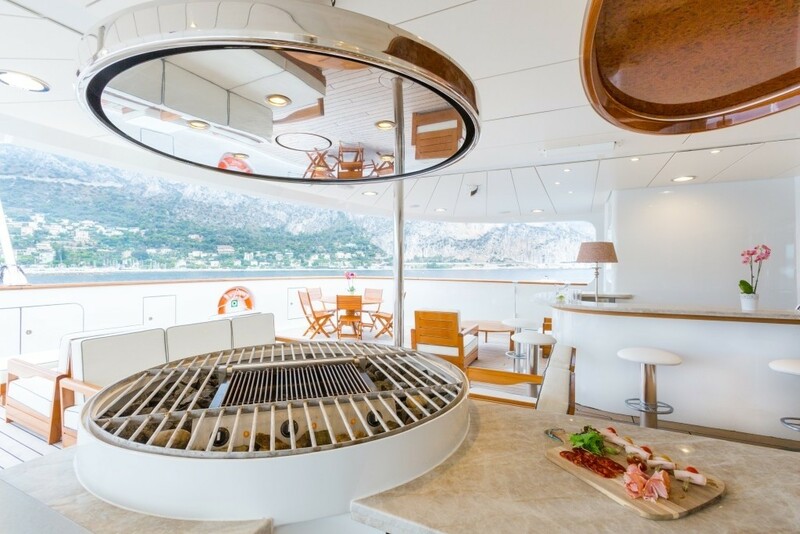 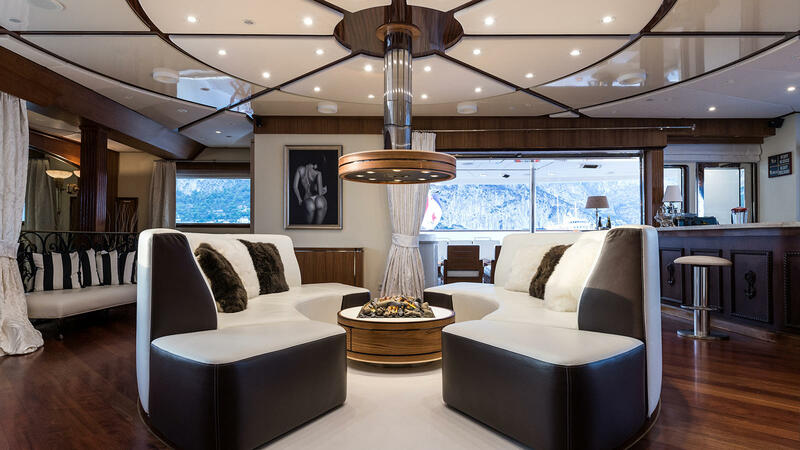 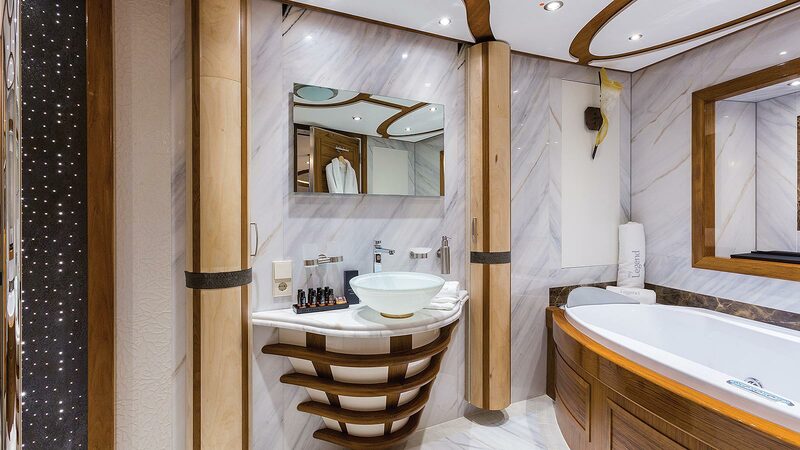 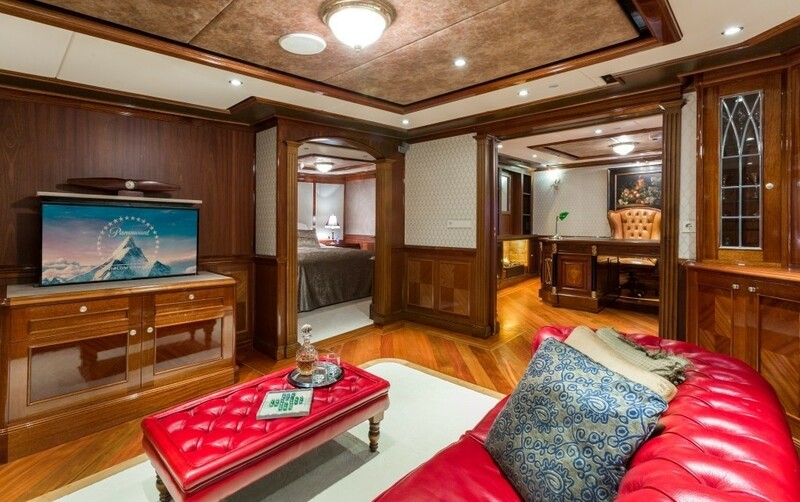 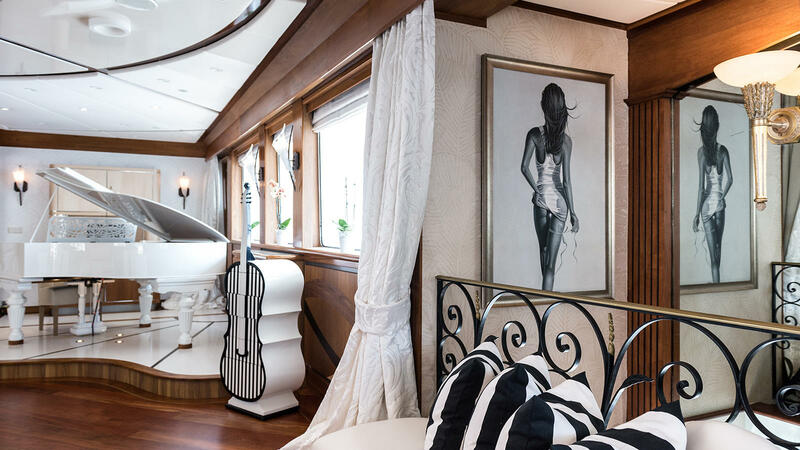 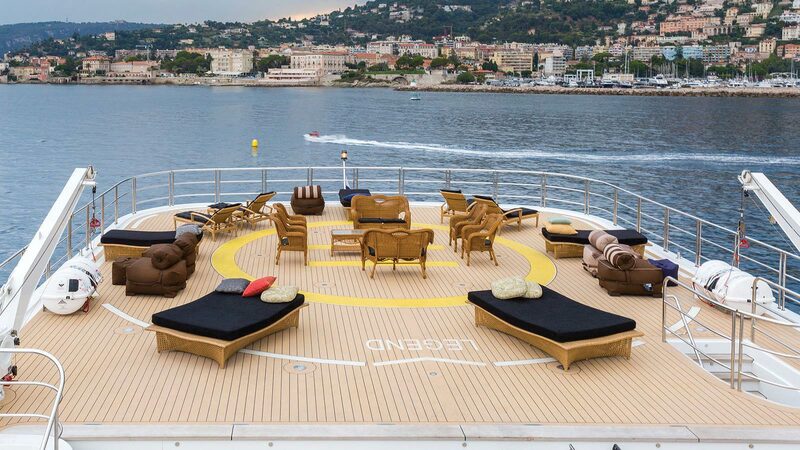 Motor yacht Legend (ex Giant) provides the following comfortable accommodation for up to 26 guests: Her main master stateroom has a king sized bed, a settee sofa, an office, a bar and an en-suite bathroom (with his and hers showers and a Spa Pool tub). 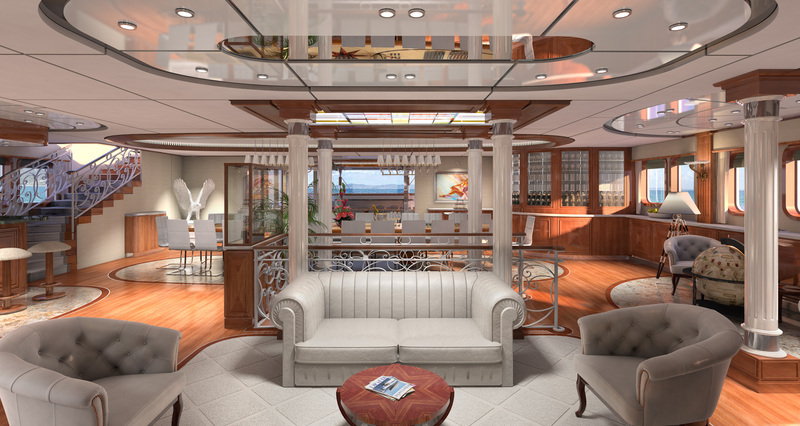 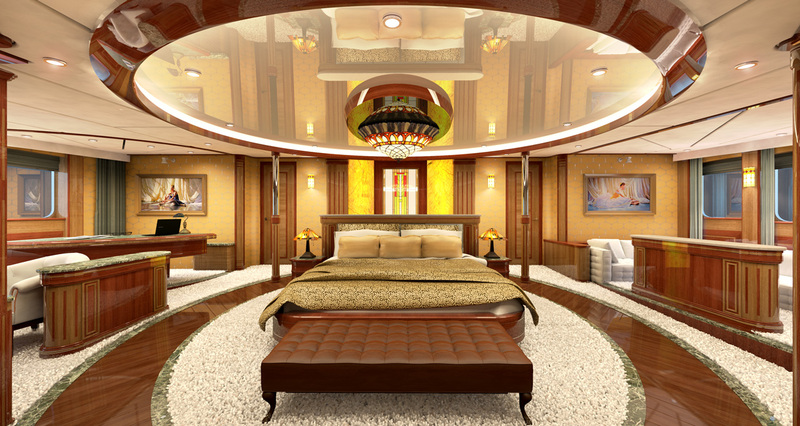 There are seven double suites (with queen sized double beds) and three twin suites and two convertable cabins.